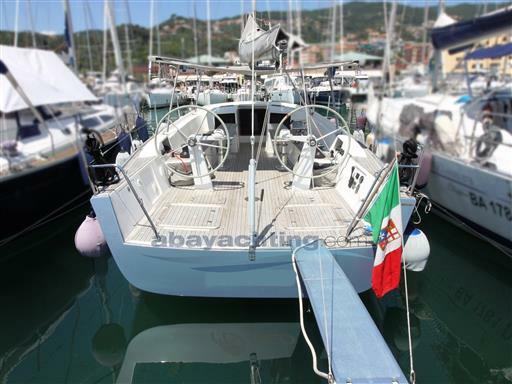 Little but determined… the Mimì Libeccio 31 has proceeded to sea with a new owner. 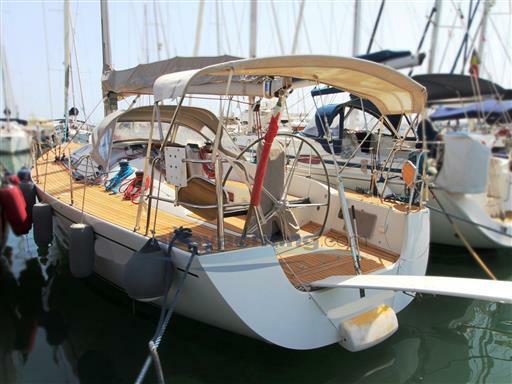 Have a good navigation! 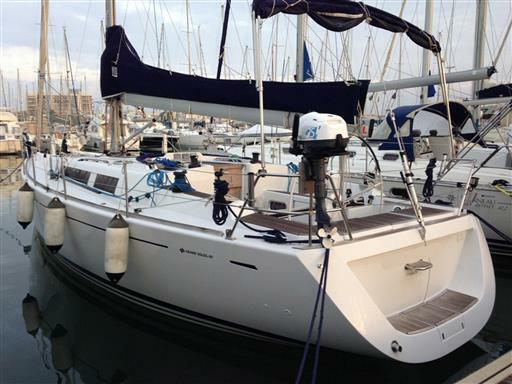 New life at sea for the Dufour 410 Grand Large 2014, we wish you a good navigation and fair winds! 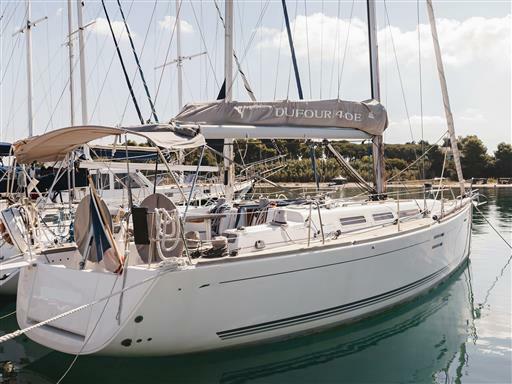 Some arrive, some go away… and another Dufour 38 has gone towards a new life at sea! 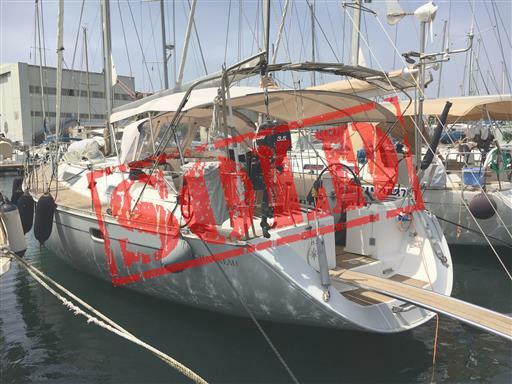 Fair winds! 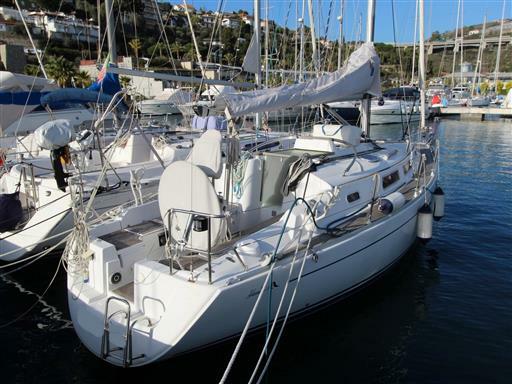 A new life at sea also for the Catalina 350. 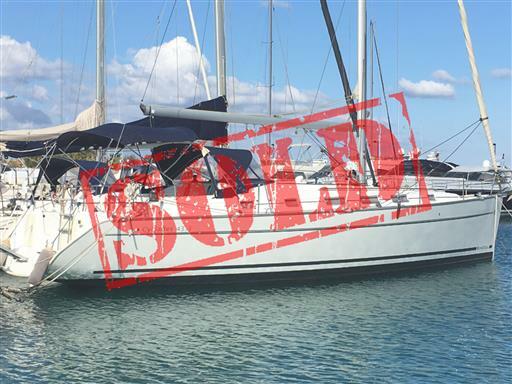 Fair winds! 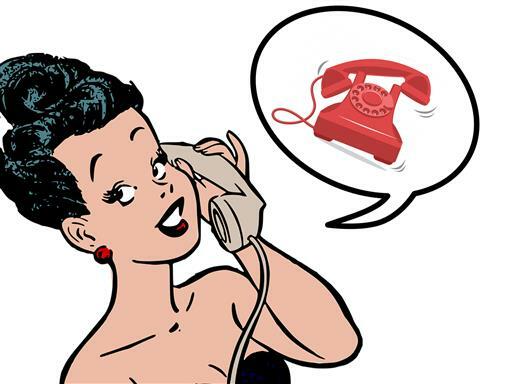 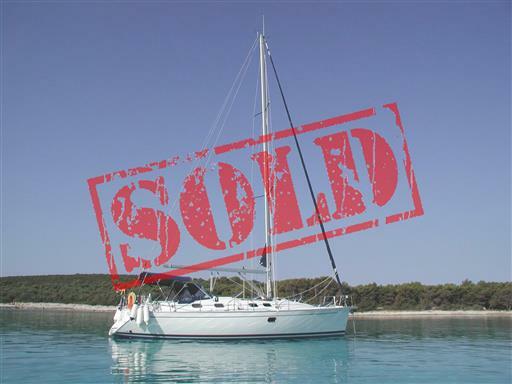 The long and difficult sales leave a deeper mark! 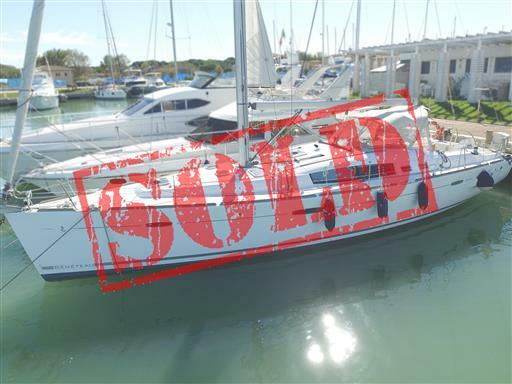 Fair winds to the Franchini 41 L and to her new owner! 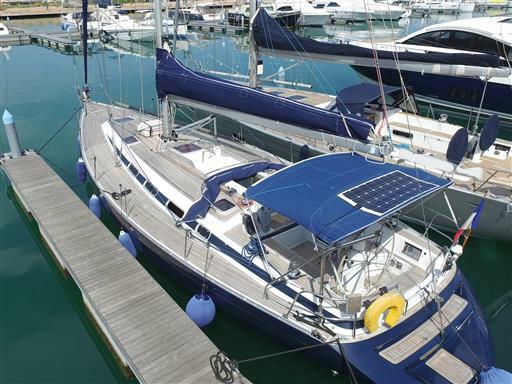 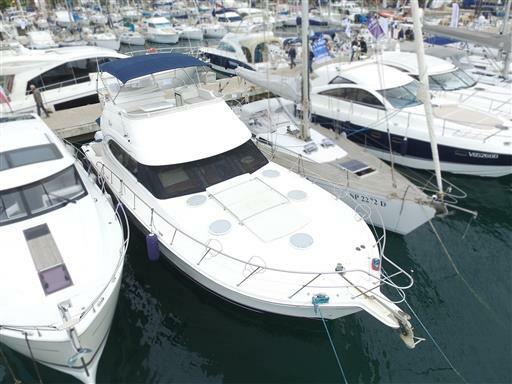 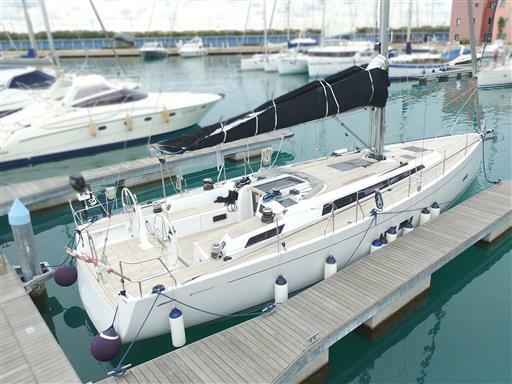 The Jeanneau Sun Odyssey 49 goes back to its origins with a new French owner. 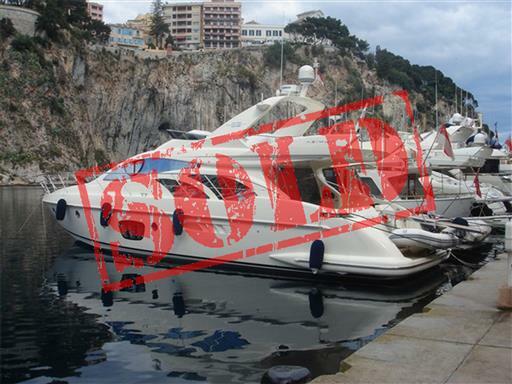 Au revoir! 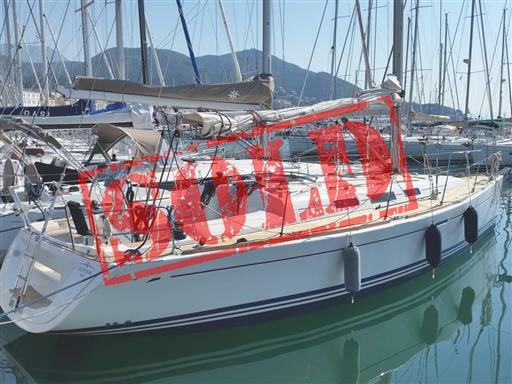 After making her owners happy for a while, the Bavaria 37 Cruiser wishes them goodbye and starts a new life at sea. 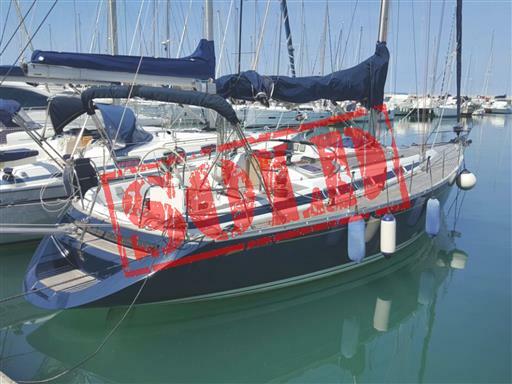 Fair winds! 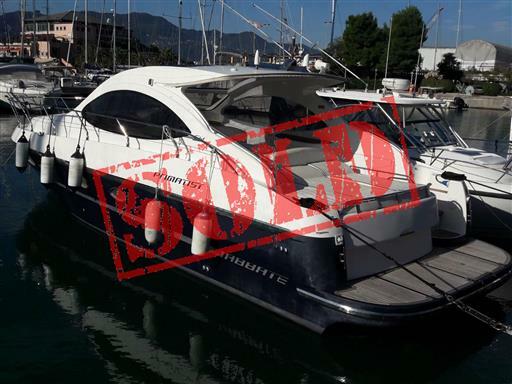 We wish goodbye also to the Azimut 55, that is starting a new life at sea! 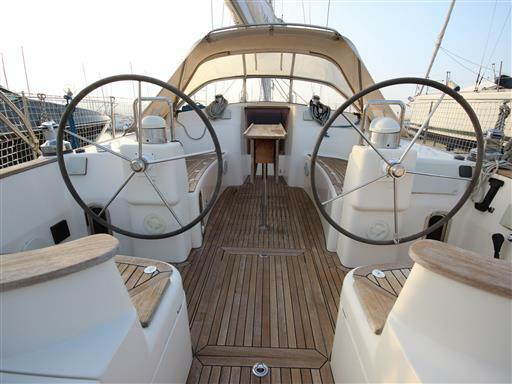 Good navigation! 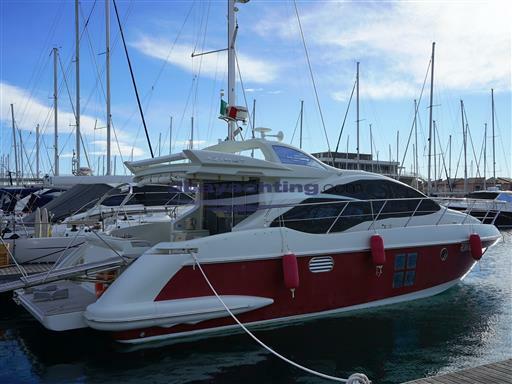 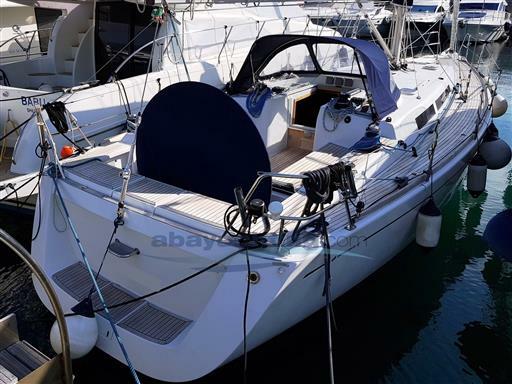 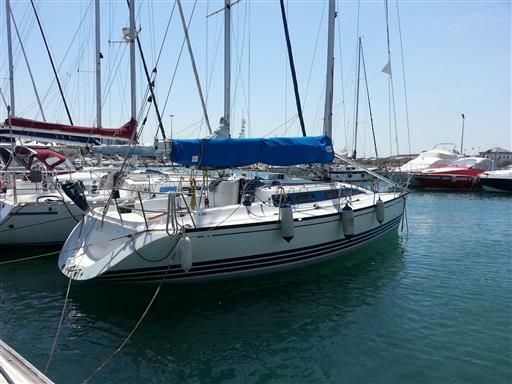 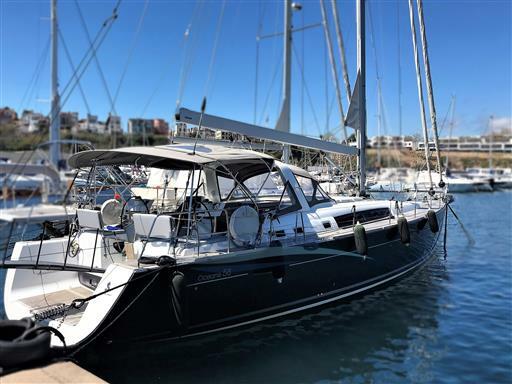 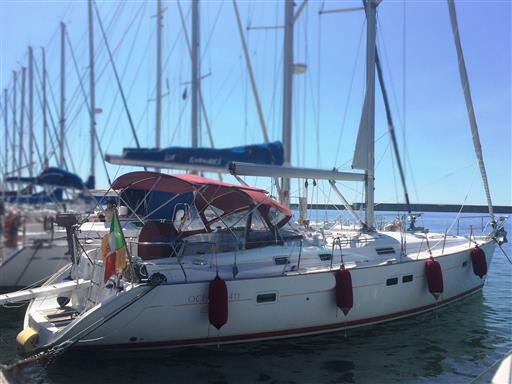 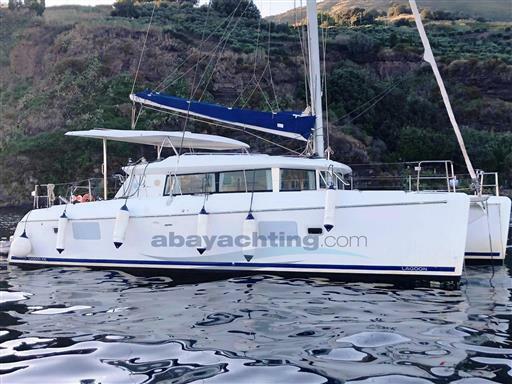 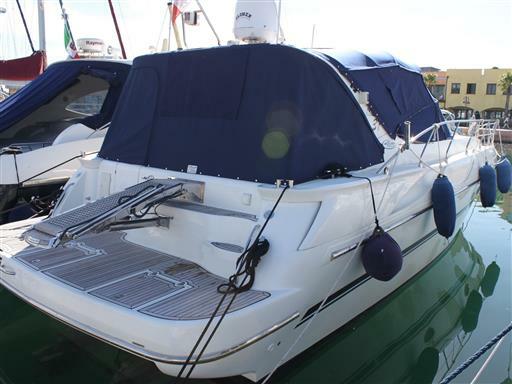 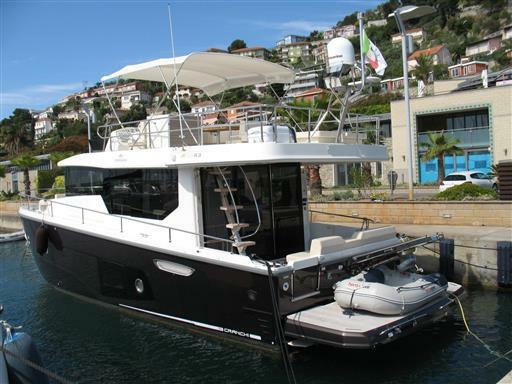 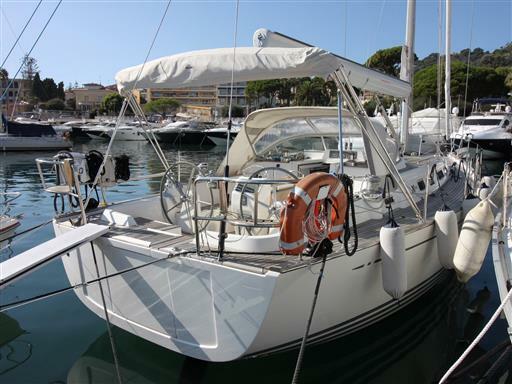 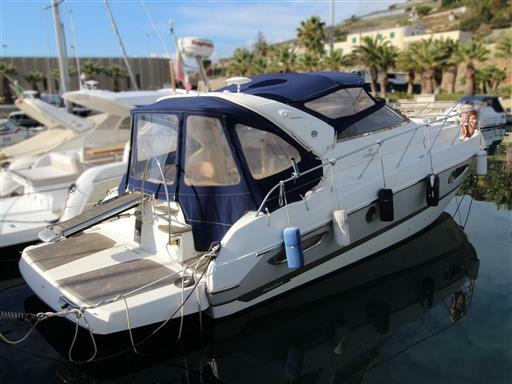 The Fratelli Aprea Sorrento 32 HT is back in Sorrento, but with a new owner. 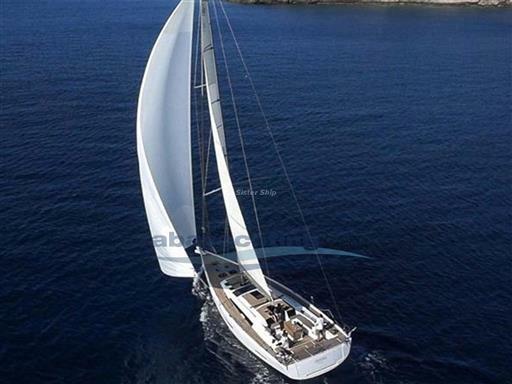 Good navigation! 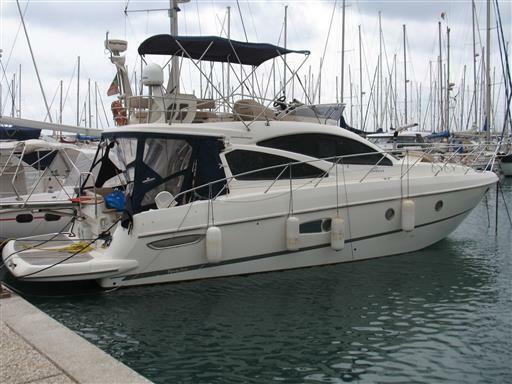 It is time to say goodbye to the Fairline Targa 38 year 2009 and her new owner. 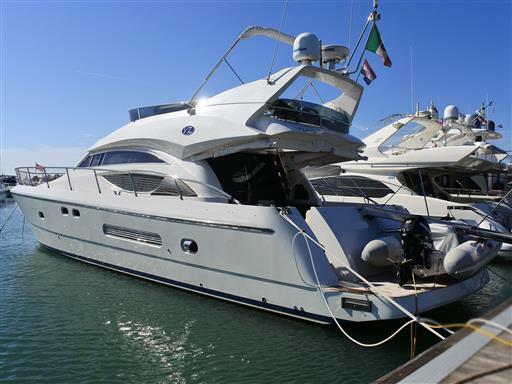 Good navigation! 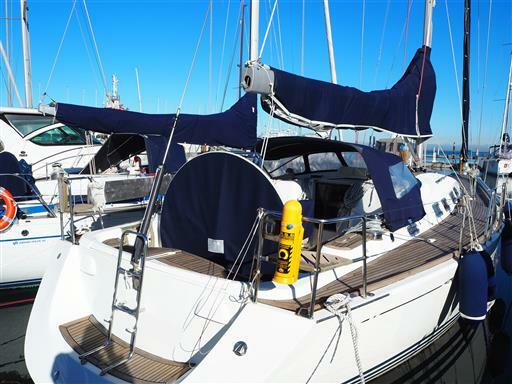 It was love at first sight before the summer, and now the Jeanneau Sun odyssey 50 DS has a new German owner. 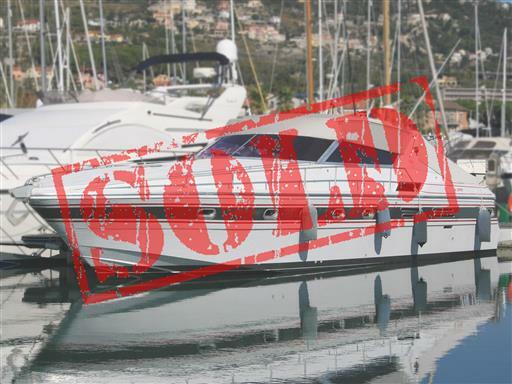 Auf Wiedersehen! 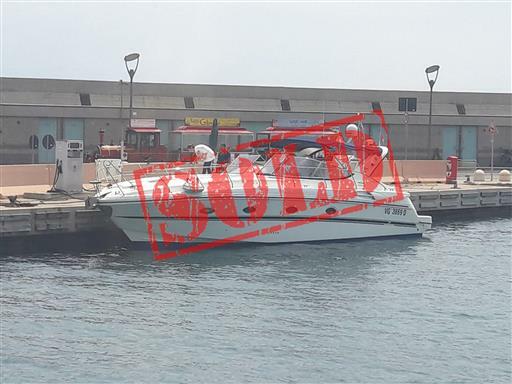 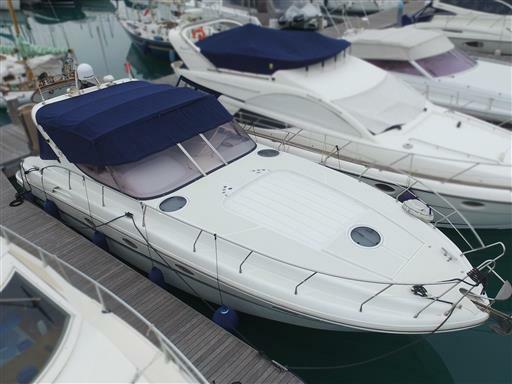 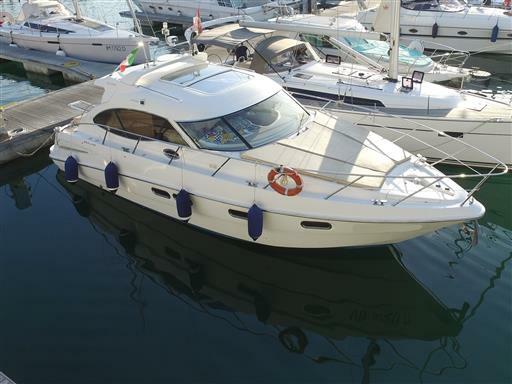 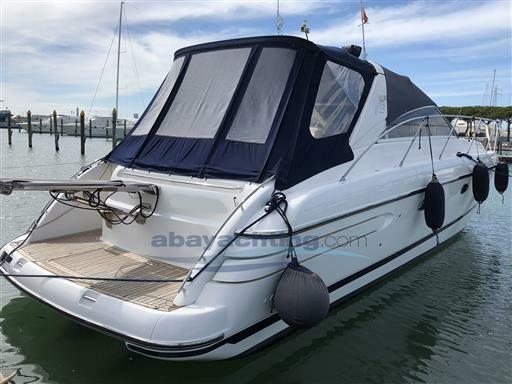 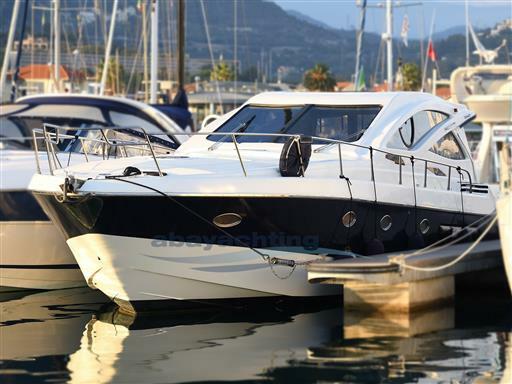 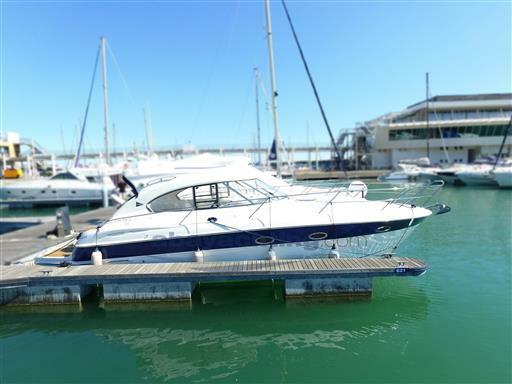 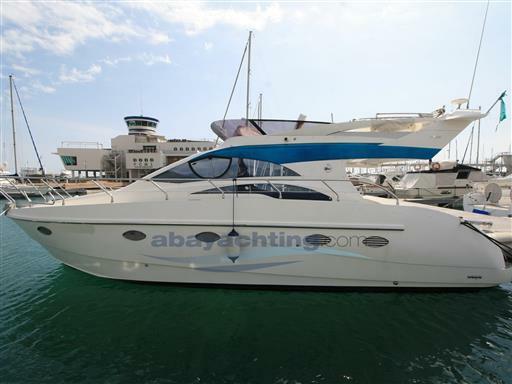 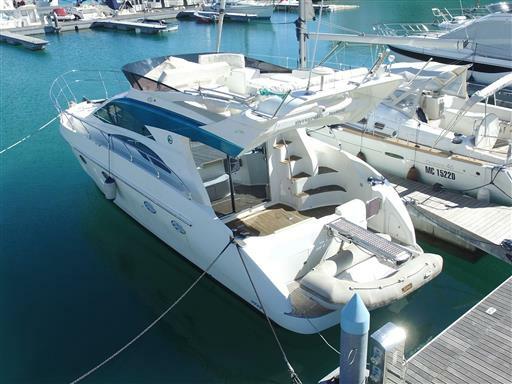 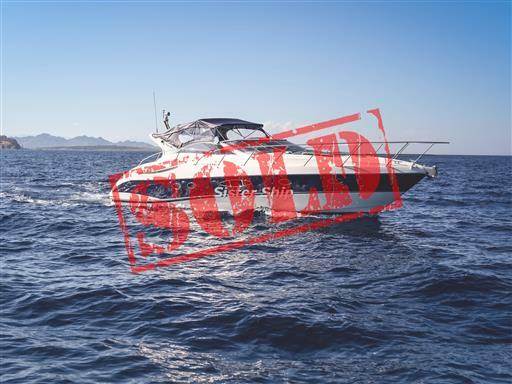 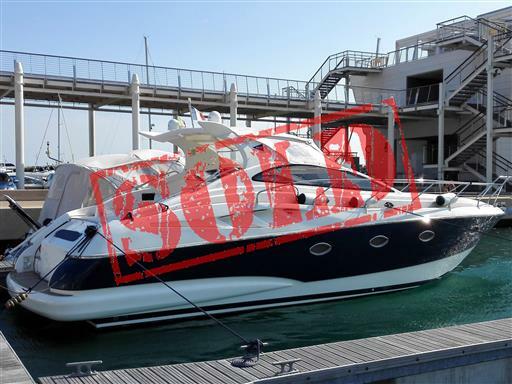 The Sealine 320 Fly has proceeded to sea with a new British owner. 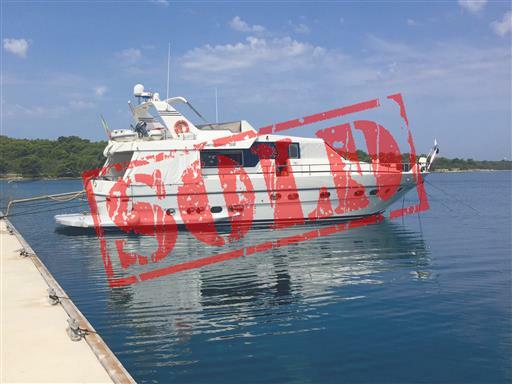 Goodbye! 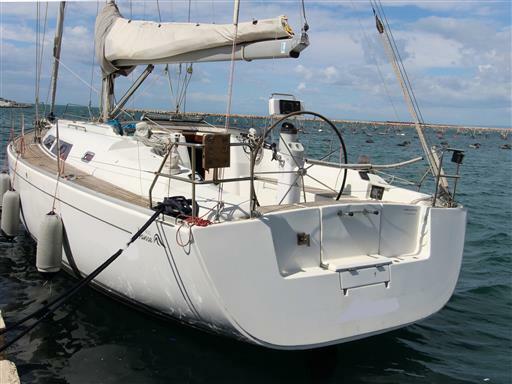 Her name is “Amnesia”, but we will not forget about her! 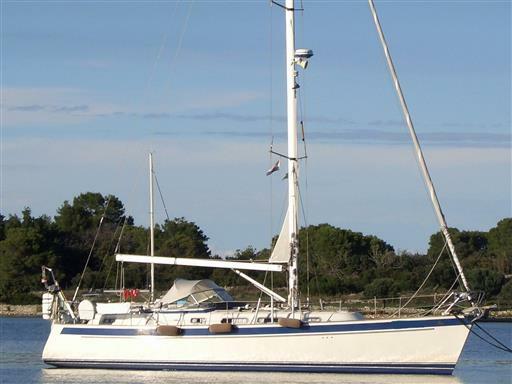 Fair winds and good navigation to the Grand Soleil 43 J&J year 2004! 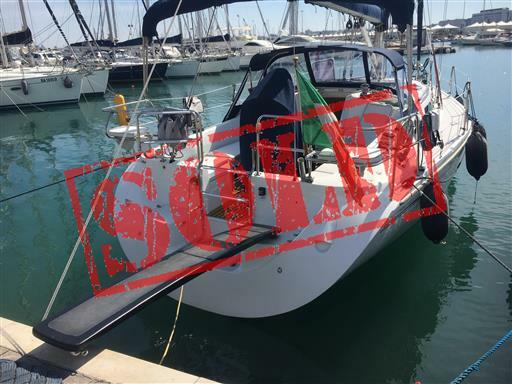 Goodbye to the Beneteau Oceanis 40 and to her new owner. 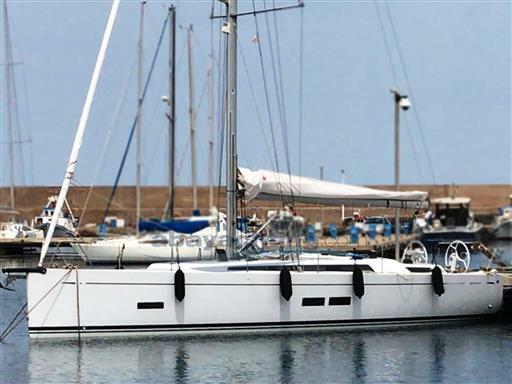 Fair winds! 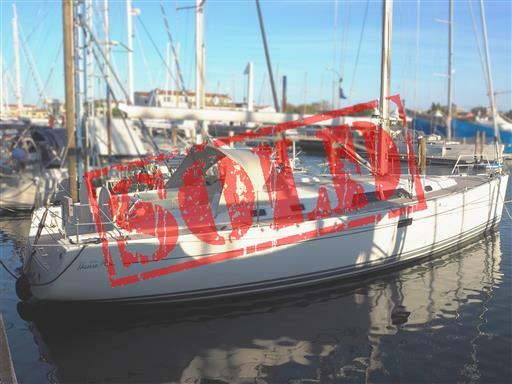 Another boat says goodbye… we wish fair winds and a great new life at sea to the Grand Soleil 50! 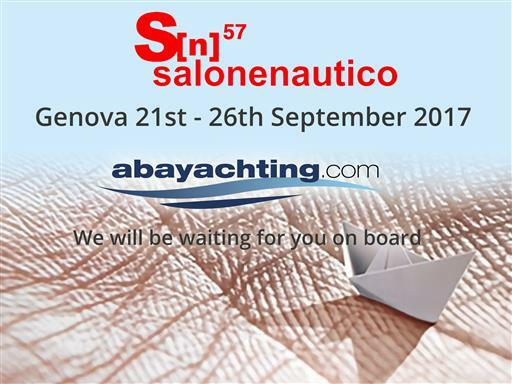 Have a good navigation! 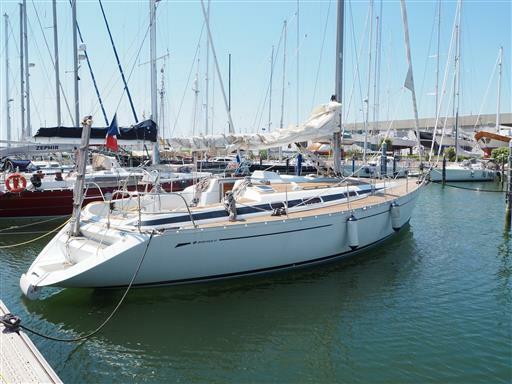 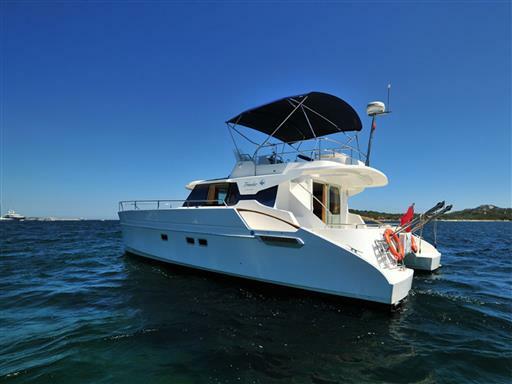 Also for the Dufour 38 Classic it is time to start a new season with a new owner. 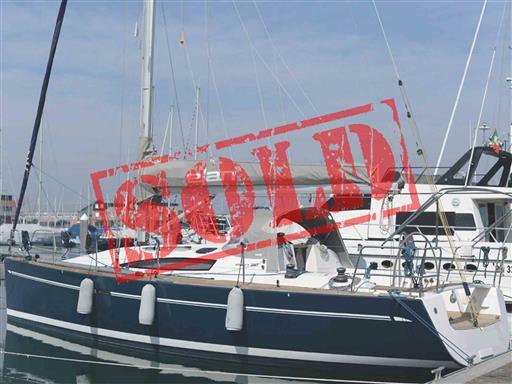 Fair winds! 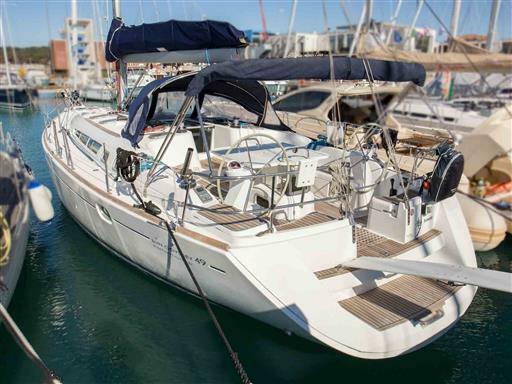 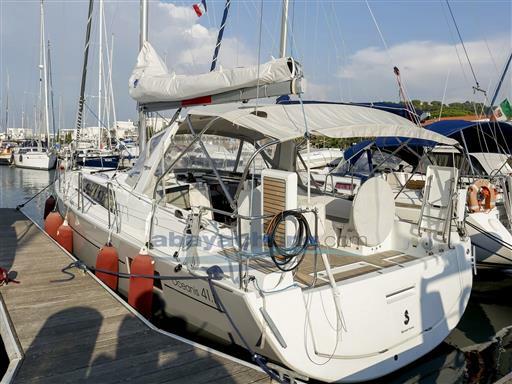 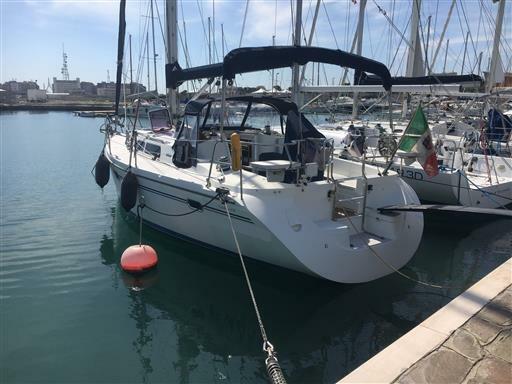 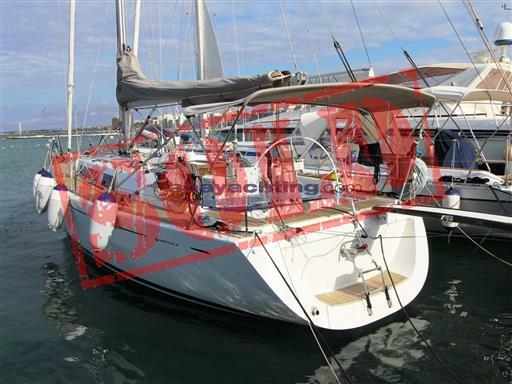 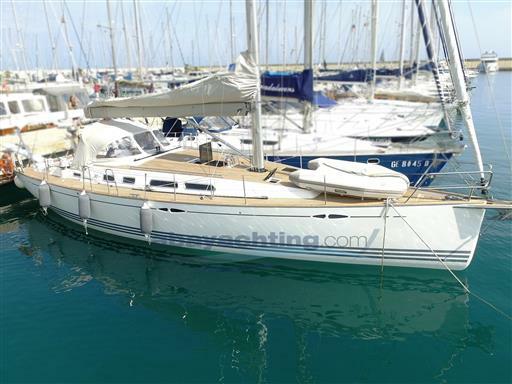 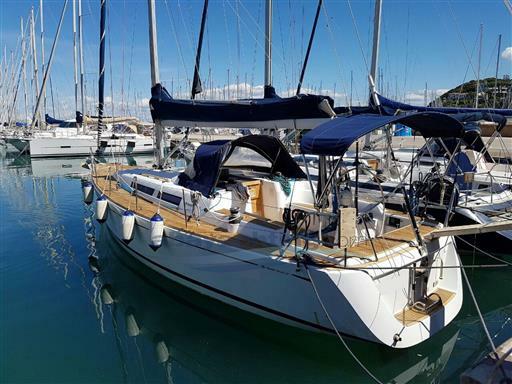 From the Adriatic Seat o France with two new owners, a new wonderful life at sea is starting for the Hanse 430e! 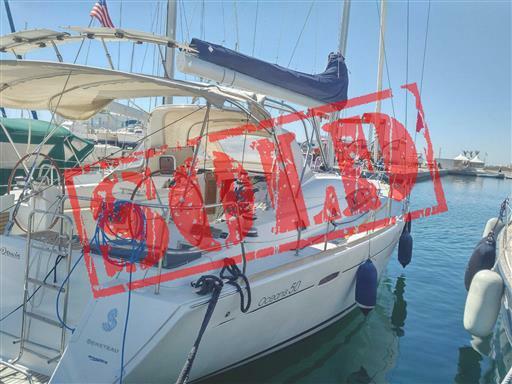 Fair winds! 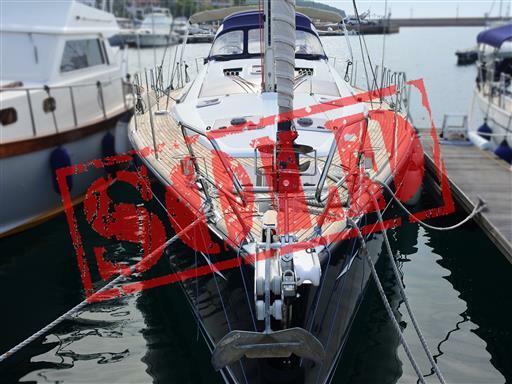 Bye bye Mira 43! 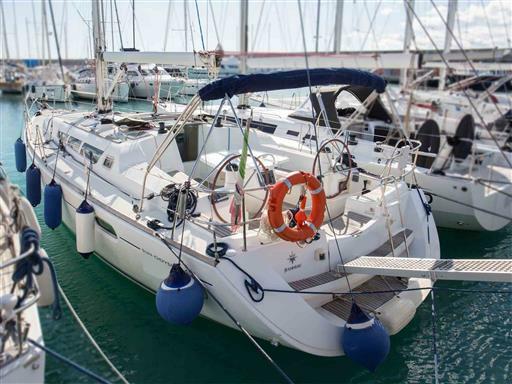 Have a lot of fun in your new life at sea! 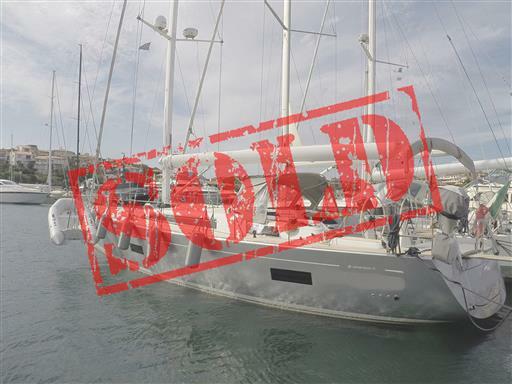 And thanks a lot to the new owners! 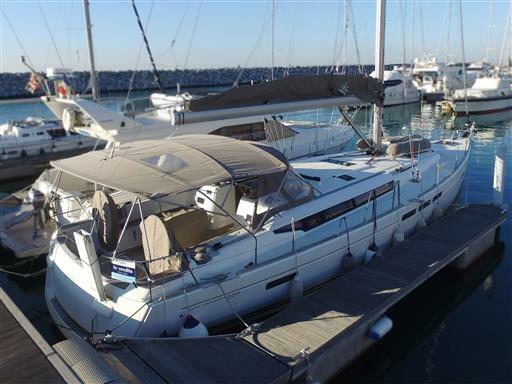 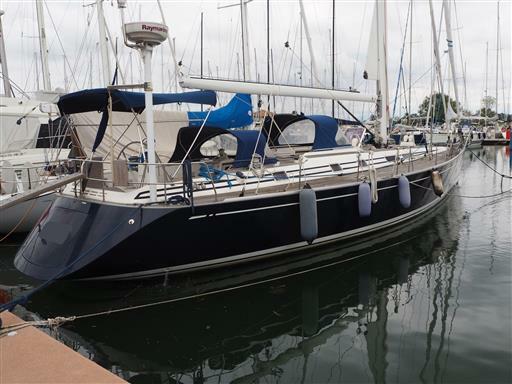 New season, new owner, new life at sea for the Cranchi 43 Atlantique. 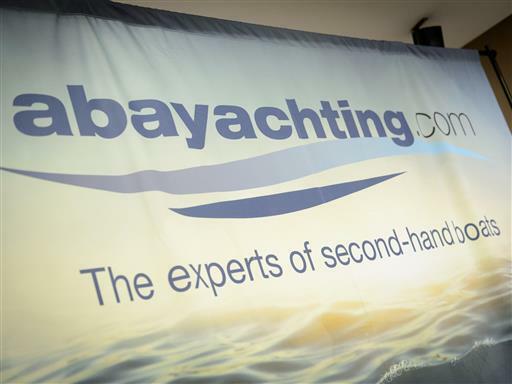 Have a good navigation! 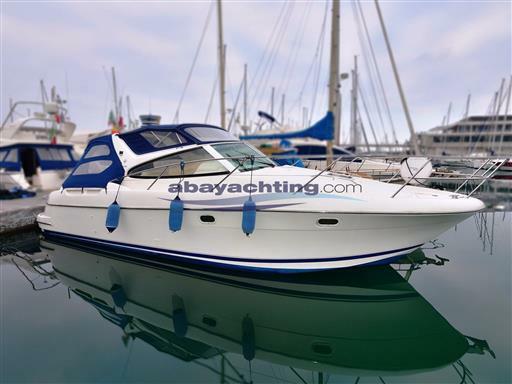 Sometimes it is necessary to take a winding path, but in the end beautiful boats always find their way to the sea! 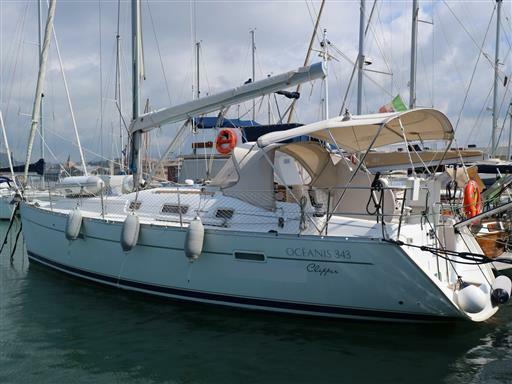 We wish the Sun Odyssey 509 and her new owner fair winds! 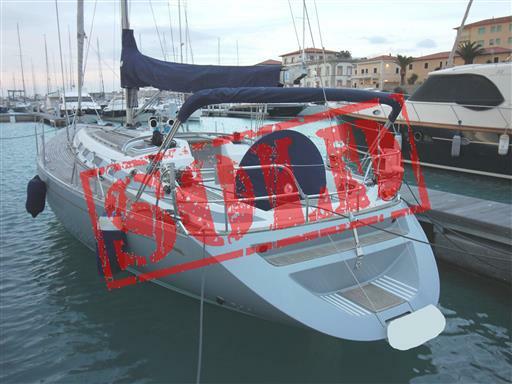 It is time to say goodbye to the Beneteau Cyclades 43.3 and her new owner and wish them an amazing new life at sea! 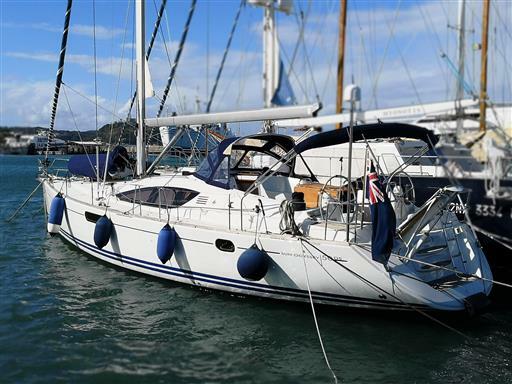 Have a good navigation and fair winds! 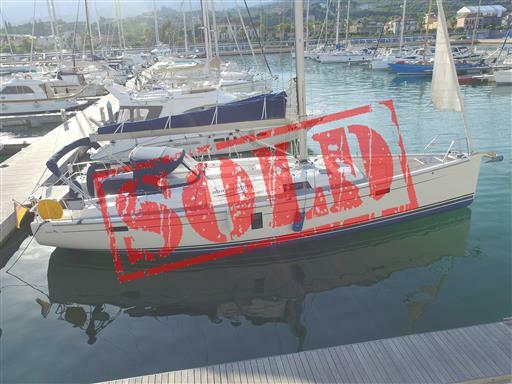 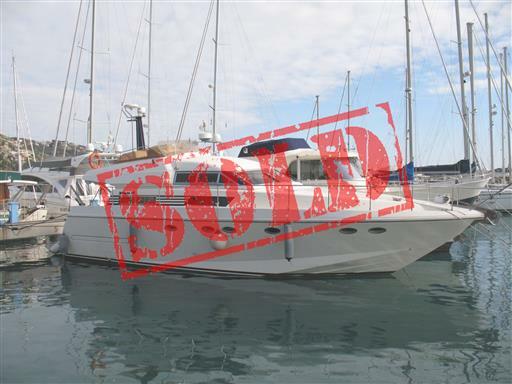 Another Grand Soleil 40 has proceeded to sea and has left Liguria moving towards France with her new French female owner. 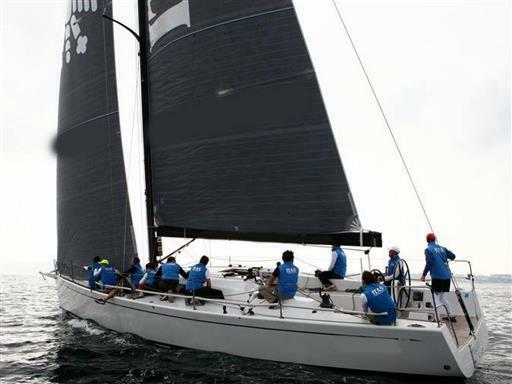 Fair winds girls! A beautiful boat, a lucky pontoon and a satisfied new owner! 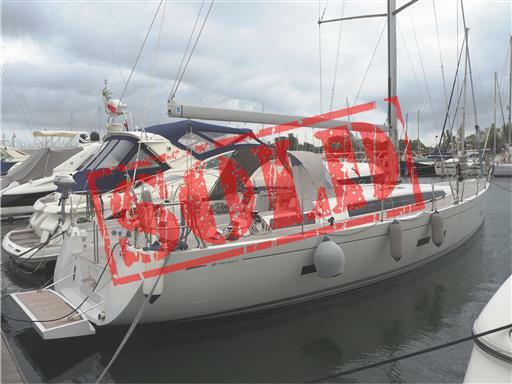 Goodbye Mira 37! 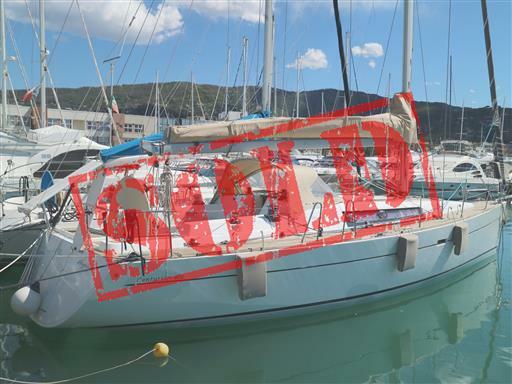 Auf Wiedersehen! 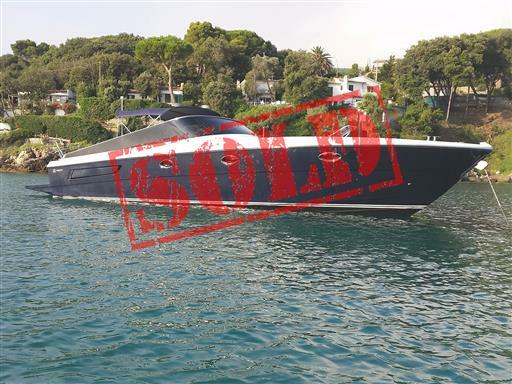 Today the Astondoa 40 begins her new life with her new owner. 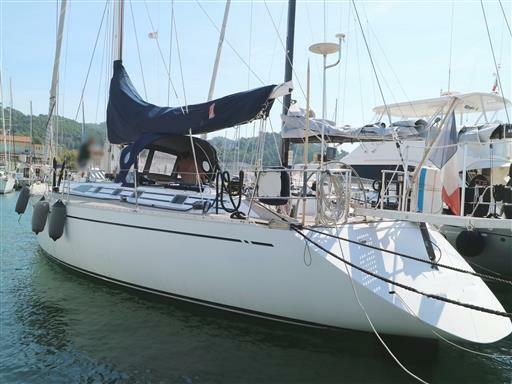 We wish both a happy life at sea together and a good navigation! 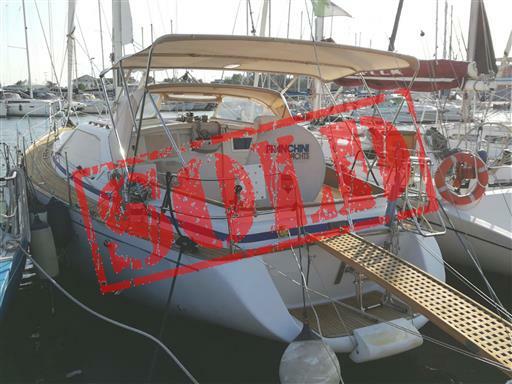 It was true love at first sight between the Sun Odyssey 44i and her new German owner… Auf Wiedersehen! 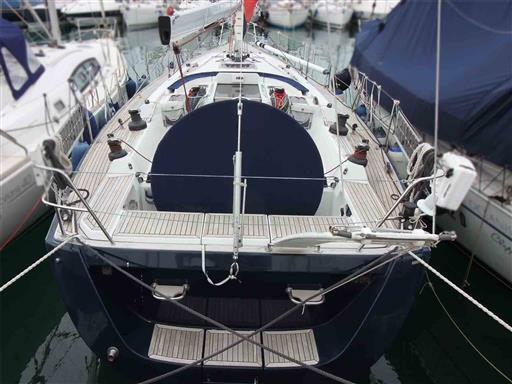 The new season is about to start and the Grand Soleil 54 is ready for her new, fantastic life at sea with a new owner. 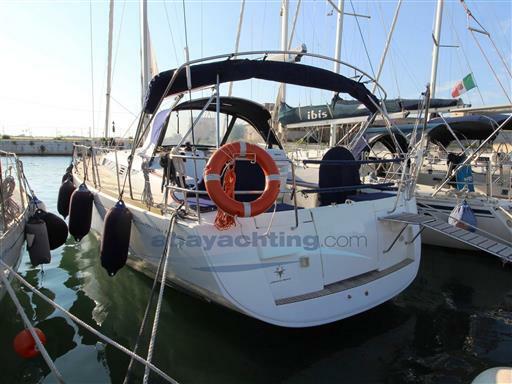 Have a good navigation and fair winds! 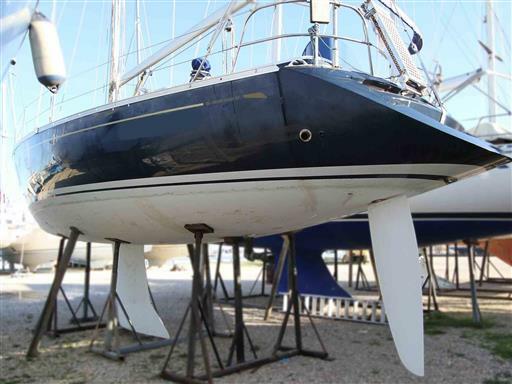 Sometimes it takes some time, but finally also the Baltic 55 has proceeded to sea and started a new life. 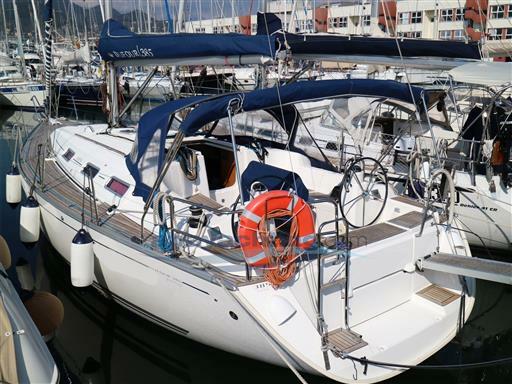 Have a good navigation! 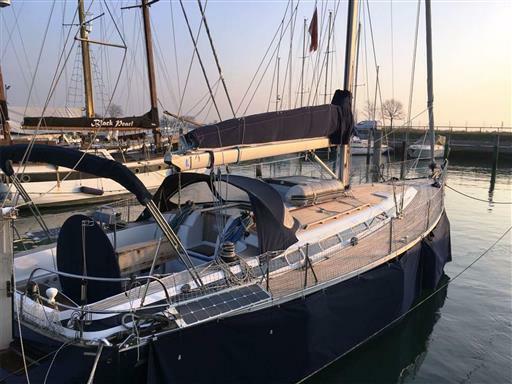 From an Italian owner to a Dutch one, passing through France: also the XC-42 has proceeded to sea! 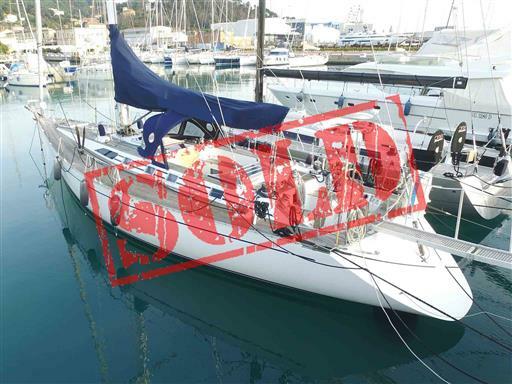 Fair winds! 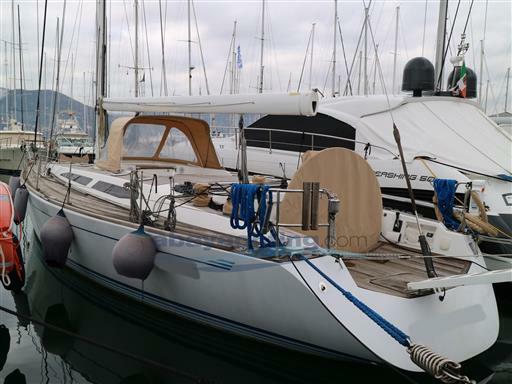 “Three men in a Boat”… the new life of the Beneteau Oceanis 46 and her new owners! 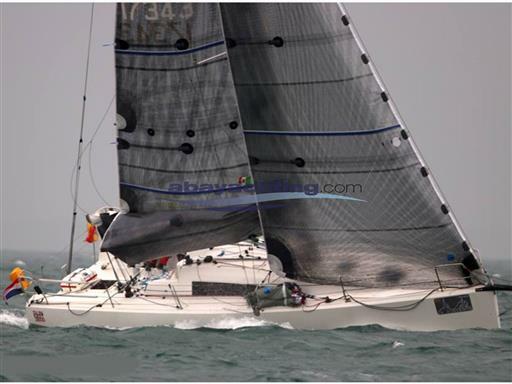 We wish them fair winds and a good navigation! 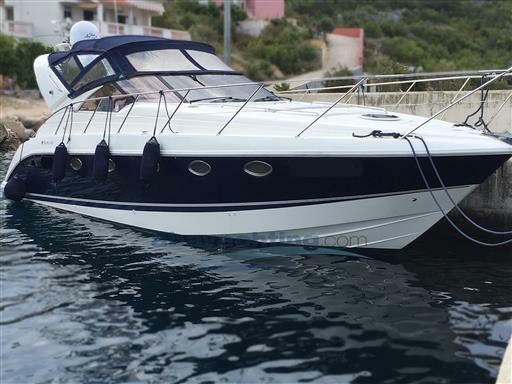 The Ghibli 8V has left us and has proceeded to sea towards a new harbour. 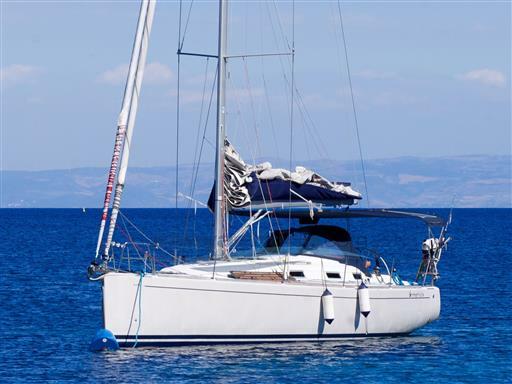 Have a good navigation! 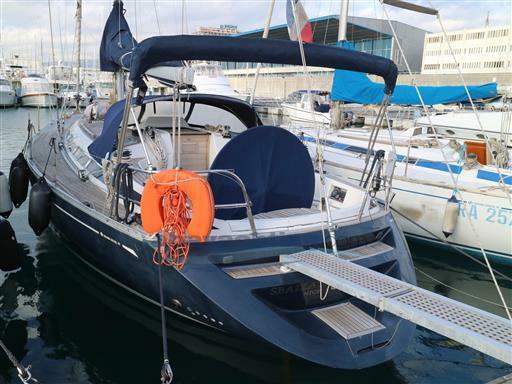 Someone arrives, someone leaves… also for the Jeanneau Sun Odyssey 49 Performance the moment has come to start a new life at sea. 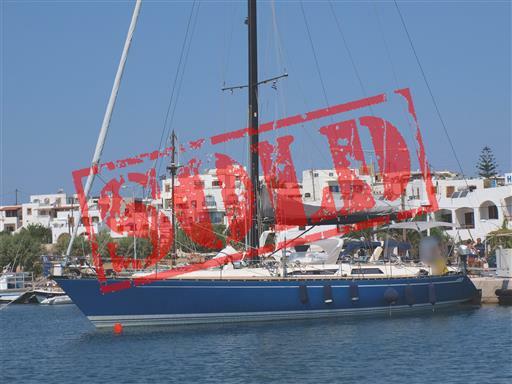 Fair winds! 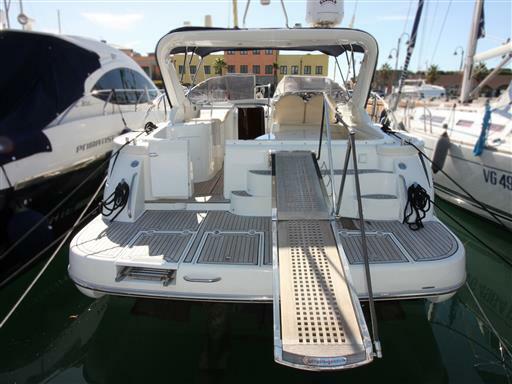 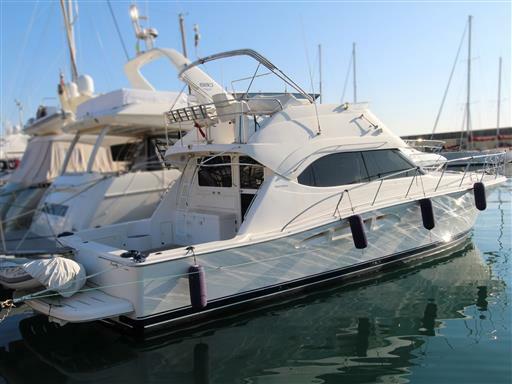 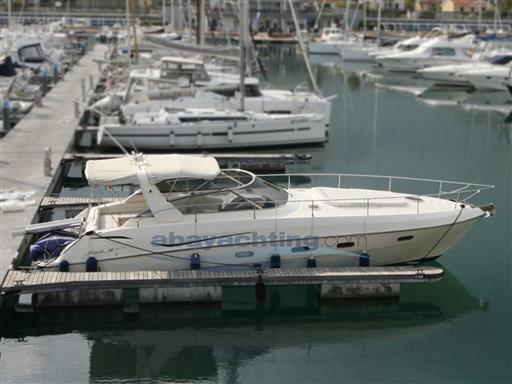 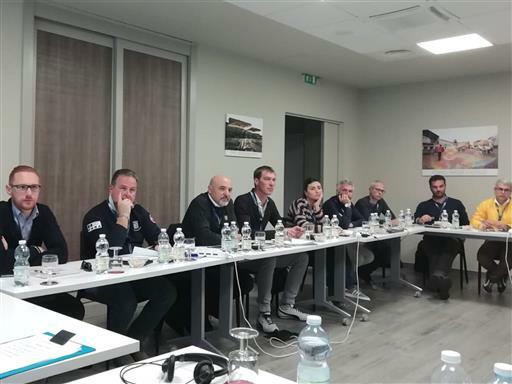 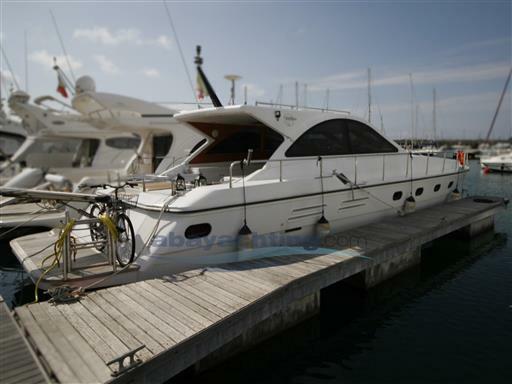 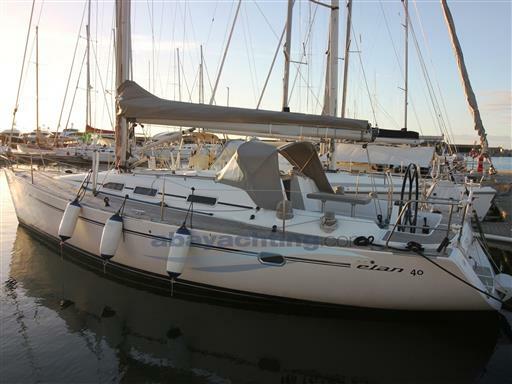 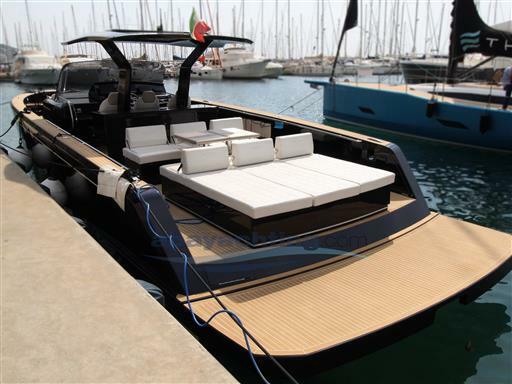 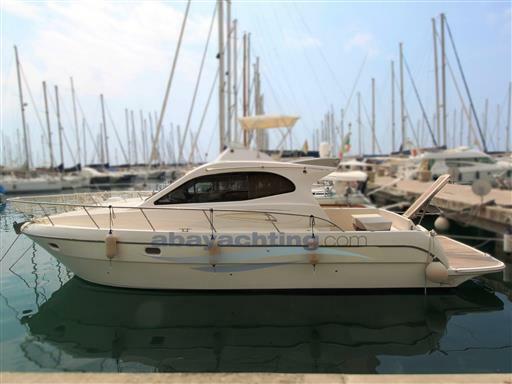 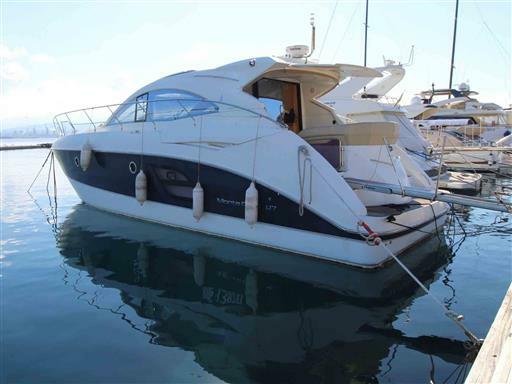 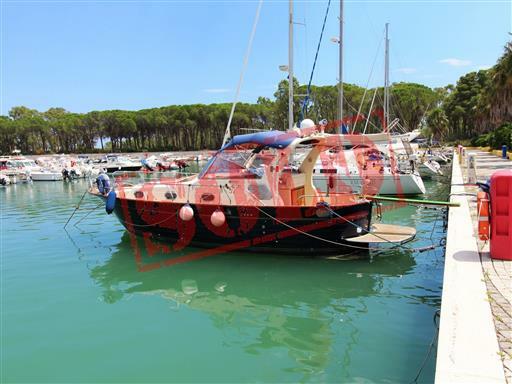 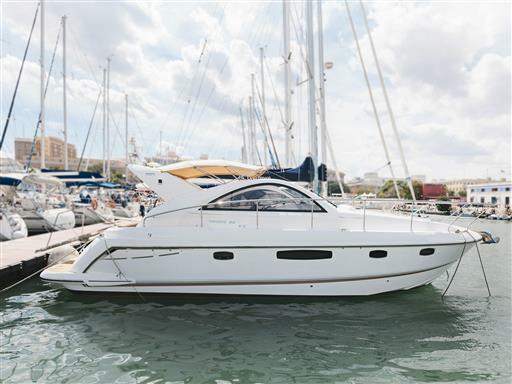 Also for the Cranchi Mediterranee 47 the new year has started in a new marina and with a new owner. 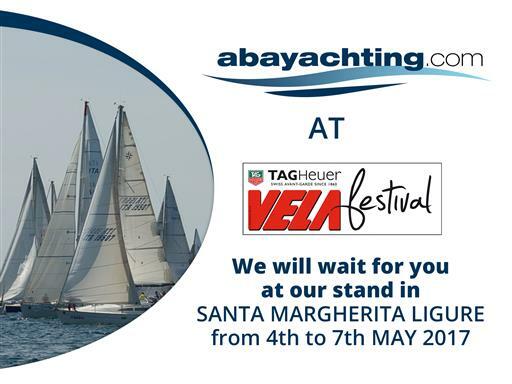 We wish them a good navigation! 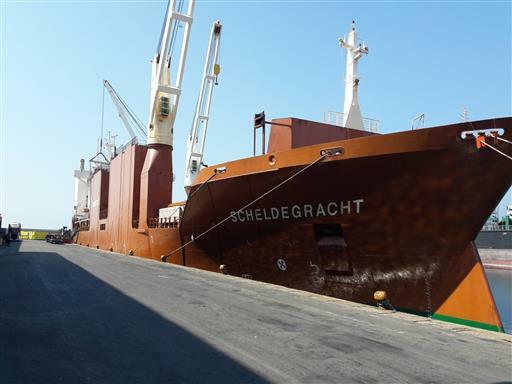 We wish goodbye and a fantastic new life at sea at top power to this beauty! 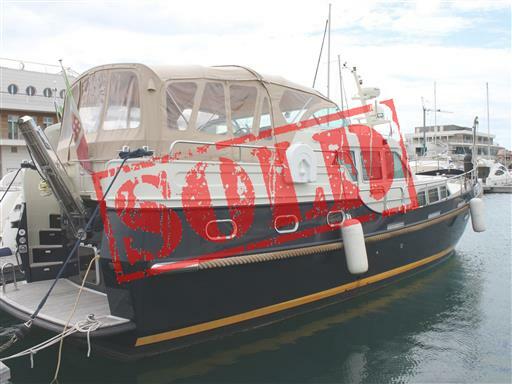 Farewell Newport 46! 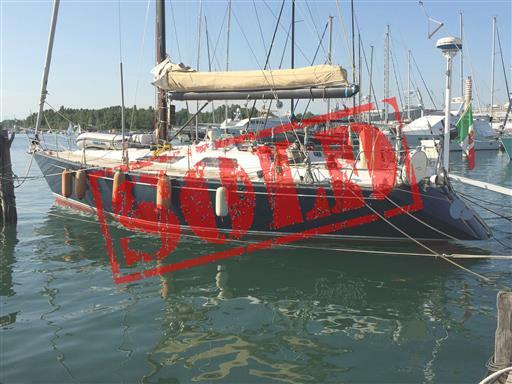 From Liguria to The Netherlands, the Wauquiez Pilot Saloon 47 year 2007 starts her new adventures at sea with a new owner from Holland. Have a good navigation! 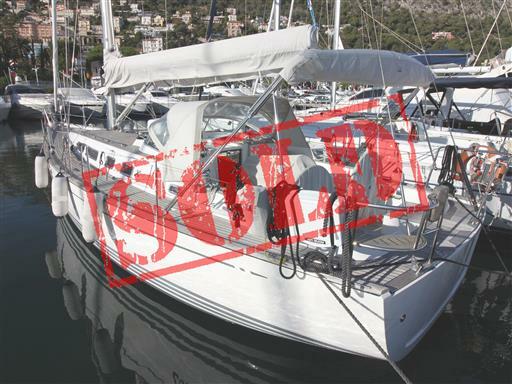 At first the 343, then the 423, and finally also the Beneteau Oceanis 58 has been sold! 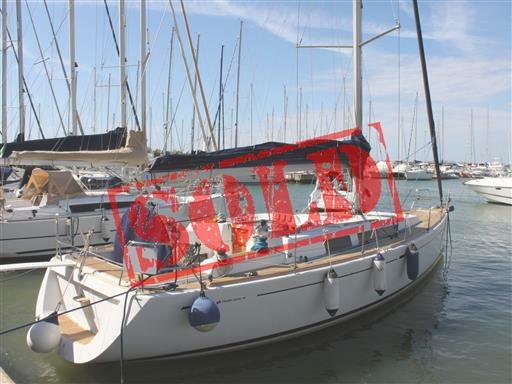 Fair winds! 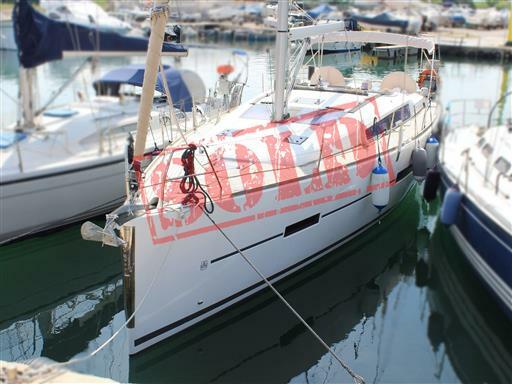 It is time to wish goodbye also to the Gibsea 41, that starts the new year – and her new life at sea – with another owner. 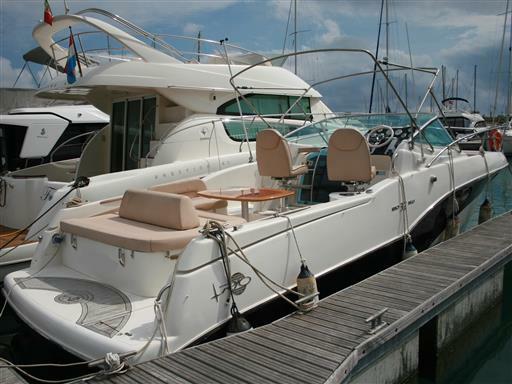 Have a good navigation! 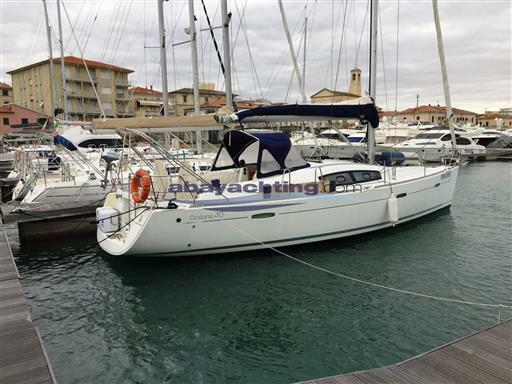 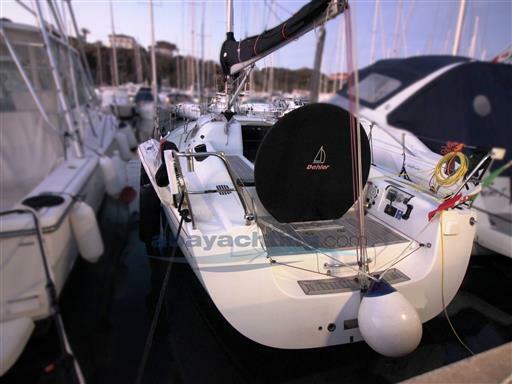 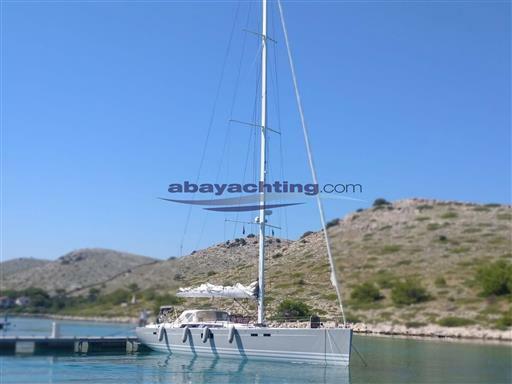 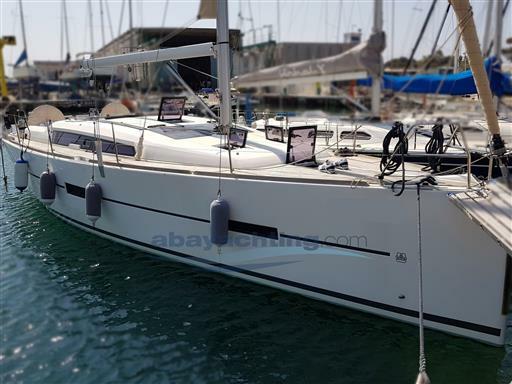 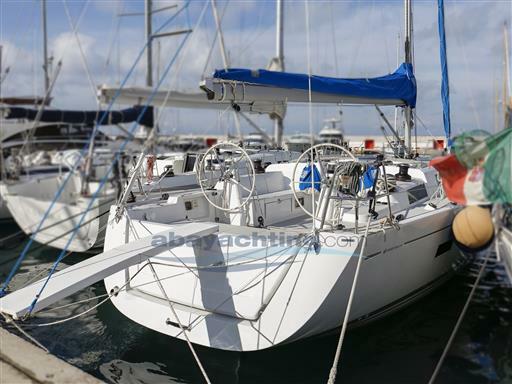 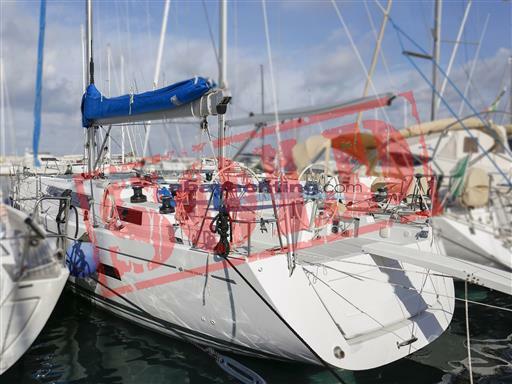 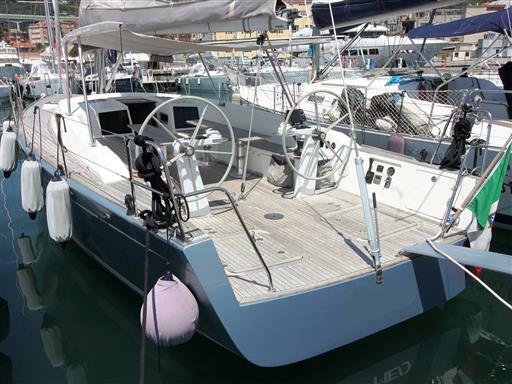 Another Beneteau has proceeded to sea… this time it is the Oceanis 423 year 2005. 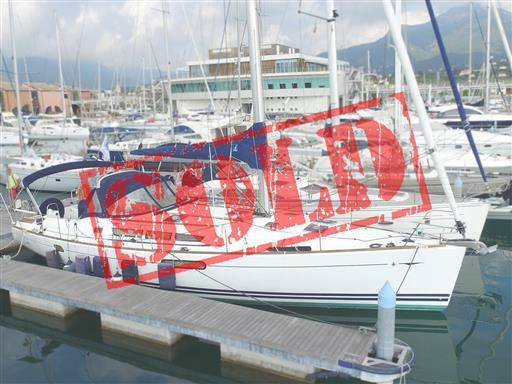 Bye bye! 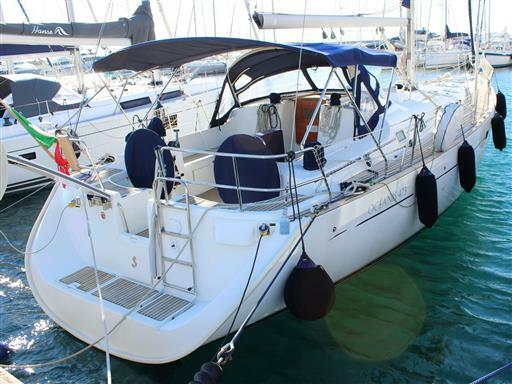 New year, new life! 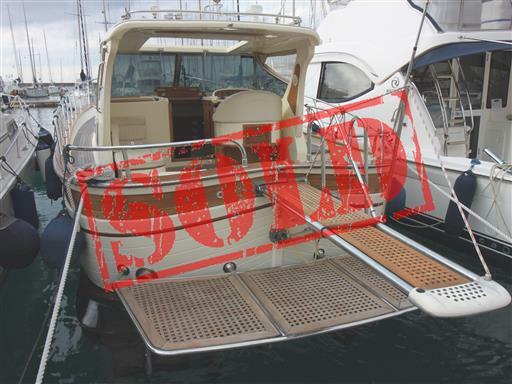 Goodbye to the Grand Soleil 45 year 2007 and to her new owner. 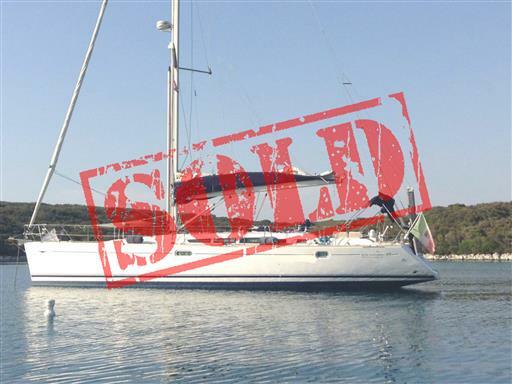 Fair winds! 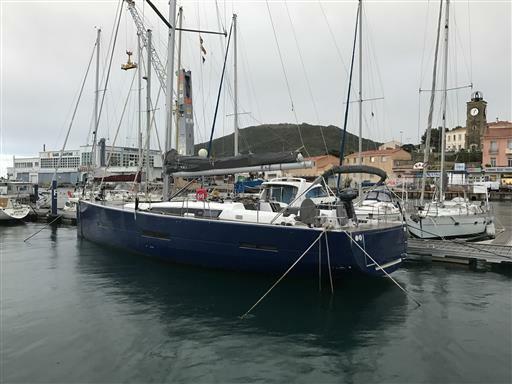 For the Beneteau Oceanis 343 it is time to proceed at sea towards new adventures. 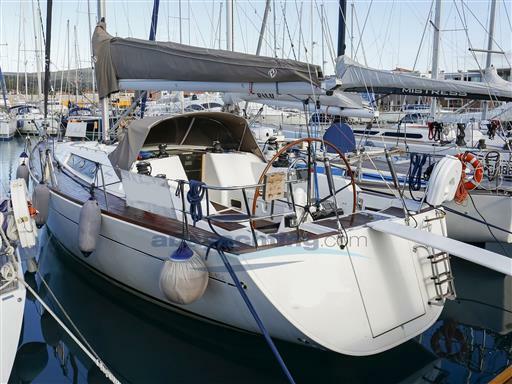 Have a good navigation and fair winds! 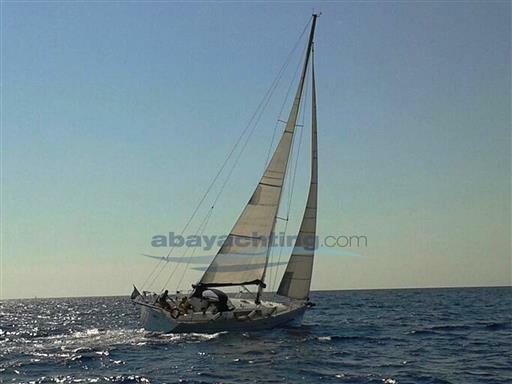 Free spirits always need to know new worlds… Goodbye Esprit Libre! 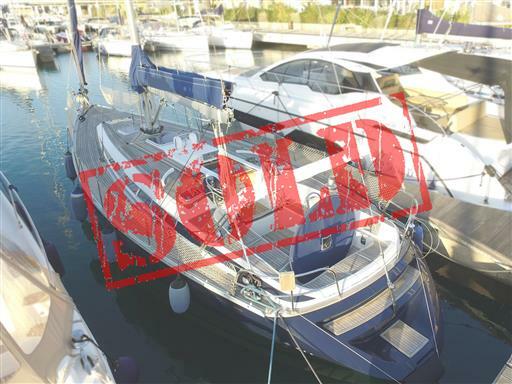 Who said that Friday 17h is an unlucky day? Another boat sold today! 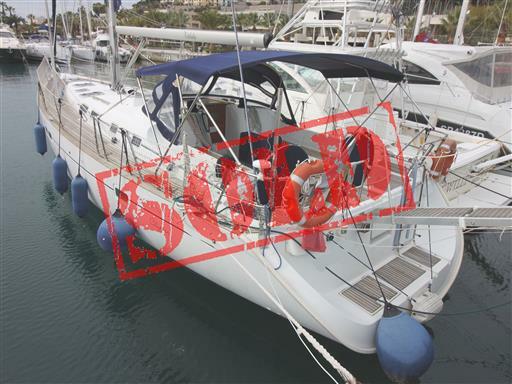 Hasta luego Muchacha! 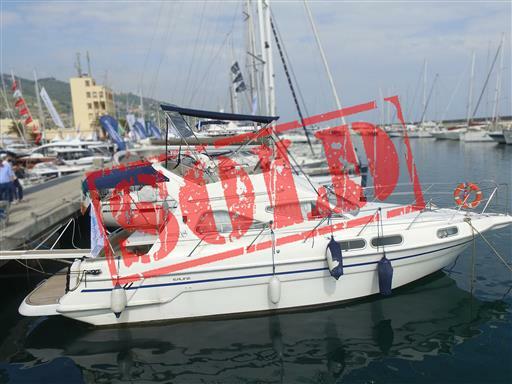 Primatist G 41 sold... for the fourth time! 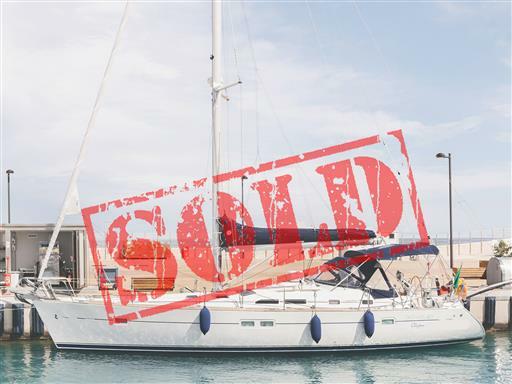 It is true that some love stories never end… For the fourth time, we see the Primatist G41 proceeding to sea with a new owner. 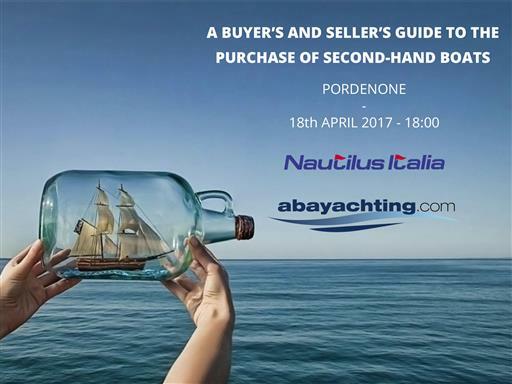 Arrivederci! 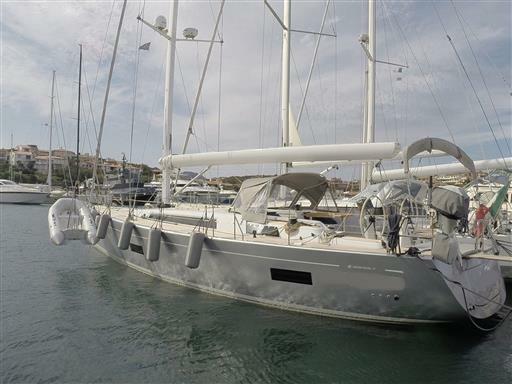 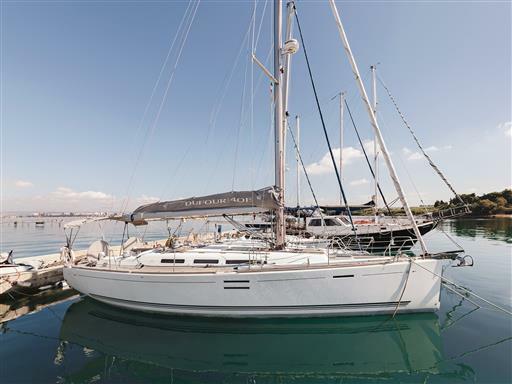 Also the Grand Soleil 46.3 has proceeded to sea with a new owner. 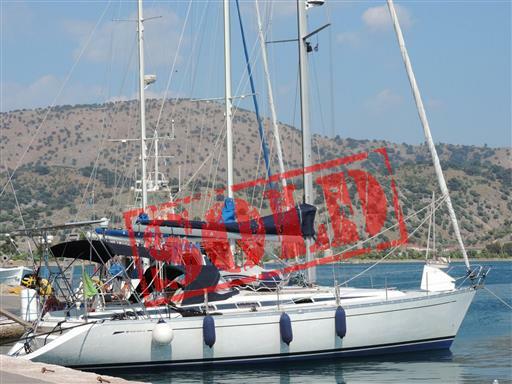 Fair winds! 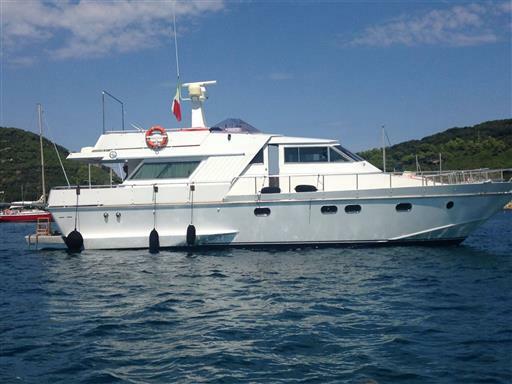 The Mainship Trawler 34 leaves Marina di Loano with a new owner. 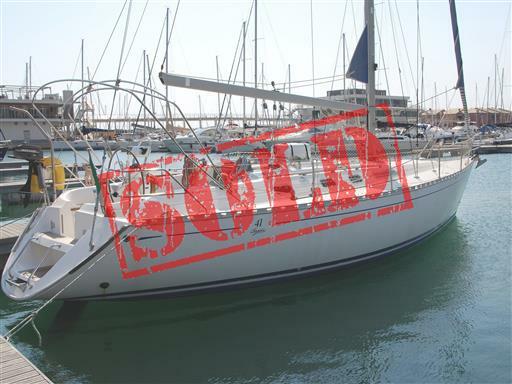 We wish them a good navigation and a fantastic new life at sea! 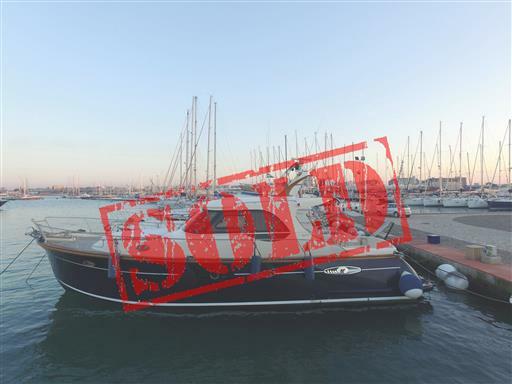 It took some time but in the end also the Nauta 54 has proceeded to sea! 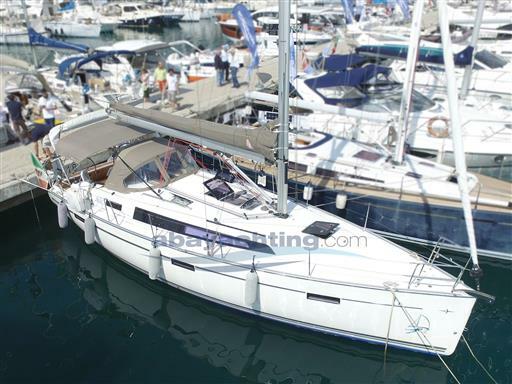 Have a good navigation and fair winds! 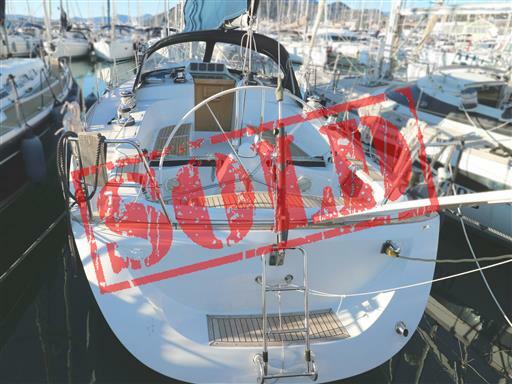 Another Wauquiez Centurion 40s has proceeded to sea! 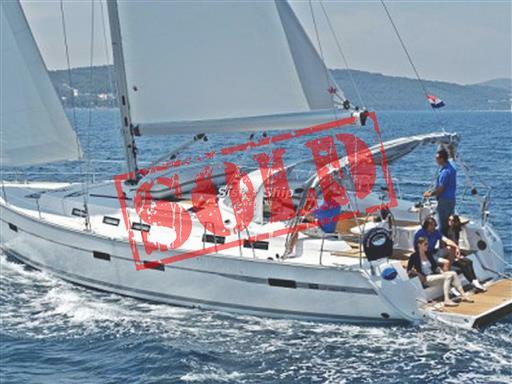 Fair winds! 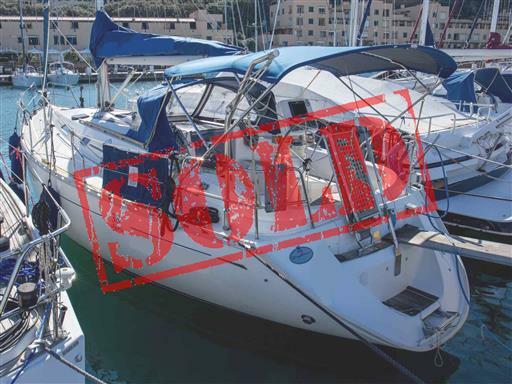 Un autre bateau est parti avec un nouveau propriétaire! 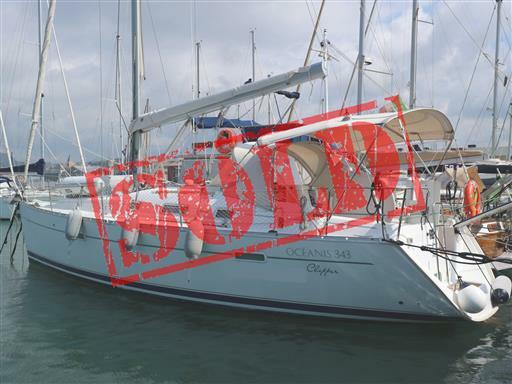 We wish goodbye to the Elan 380 year 2010 and to her new French owner! 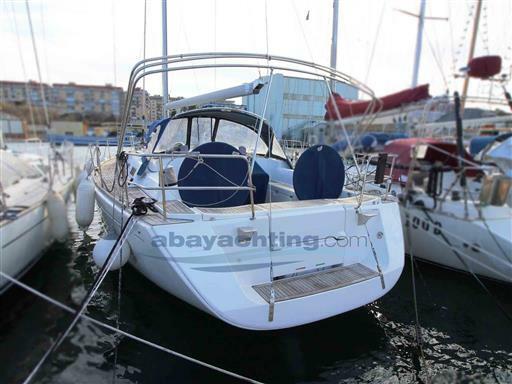 À bientôt! 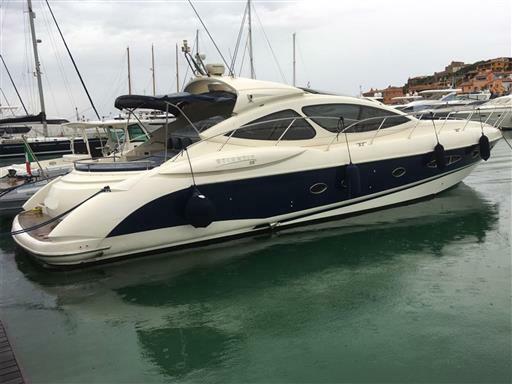 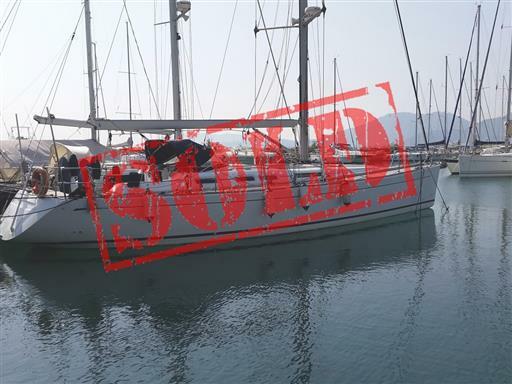 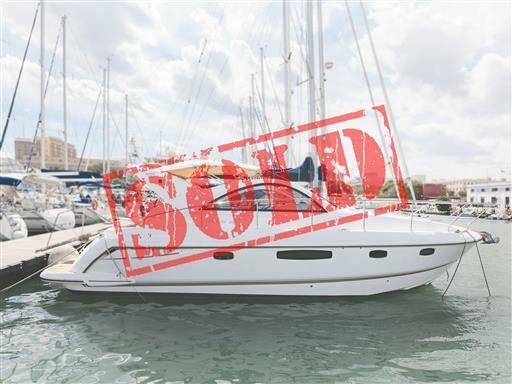 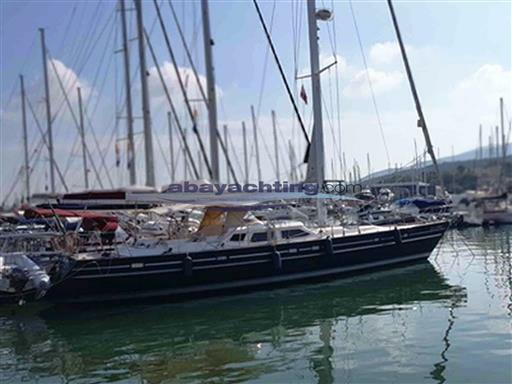 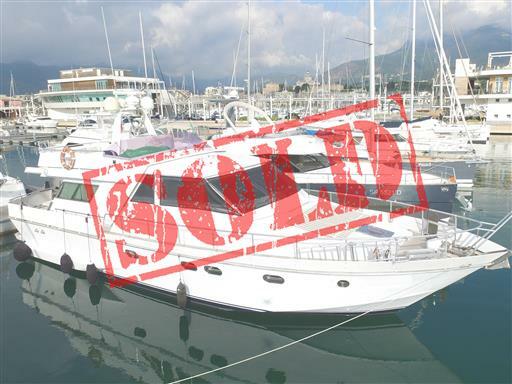 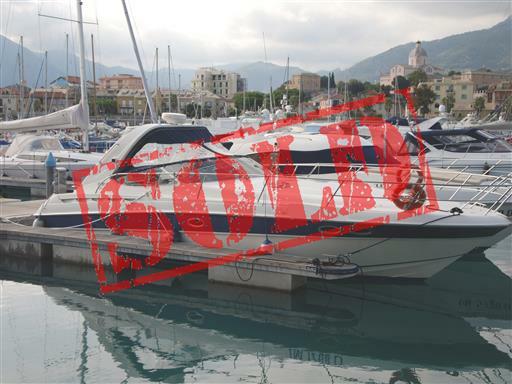 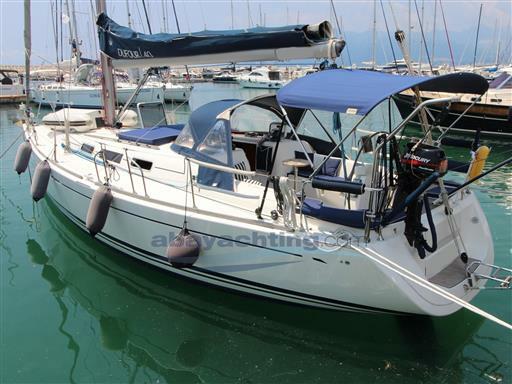 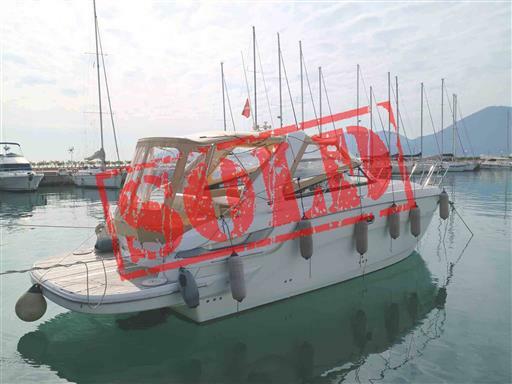 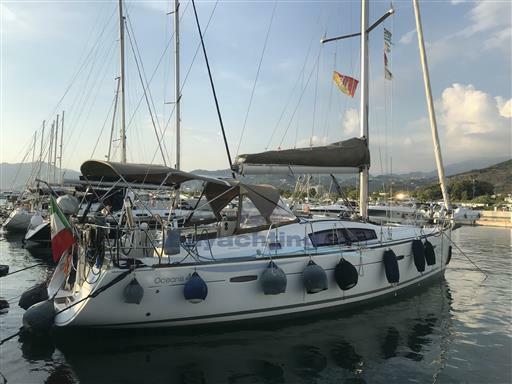 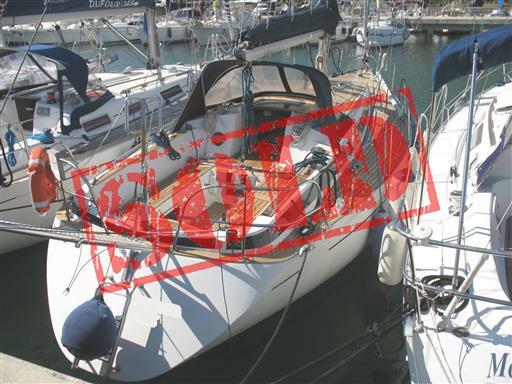 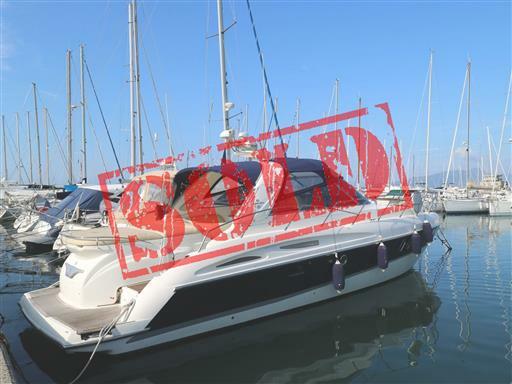 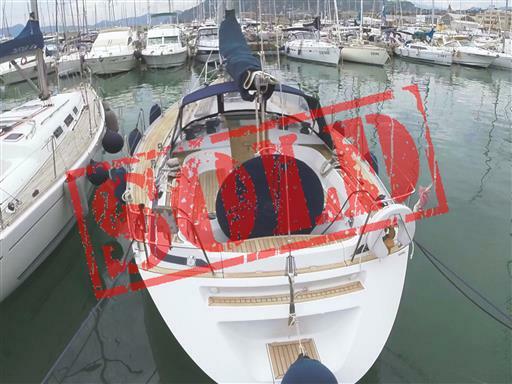 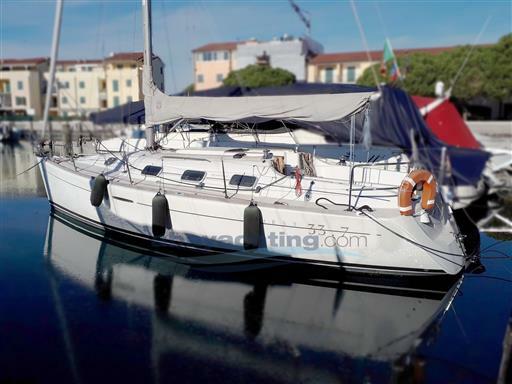 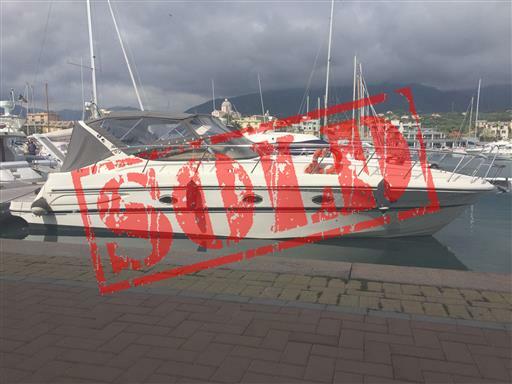 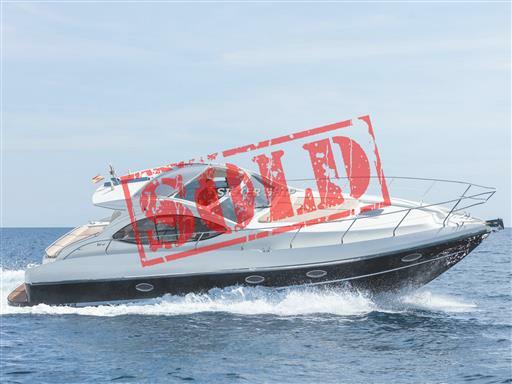 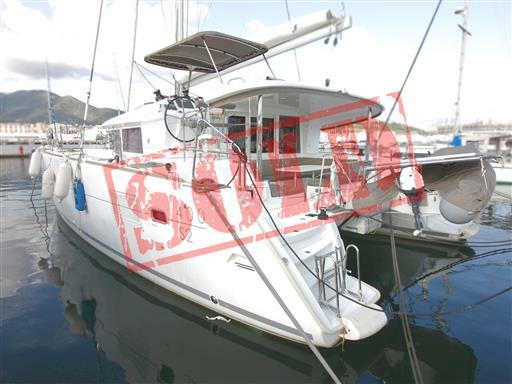 A very quick sale for a beautiful boat, that remains in the waters of Liguria, but passes from a German owner to an Italian one. 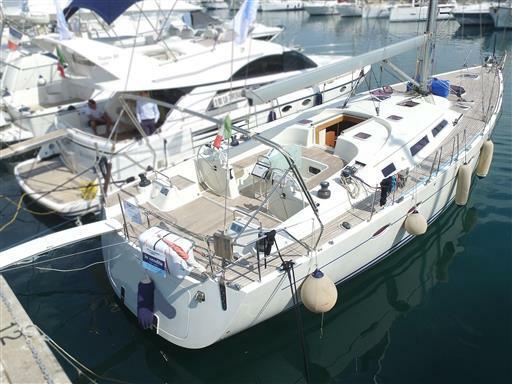 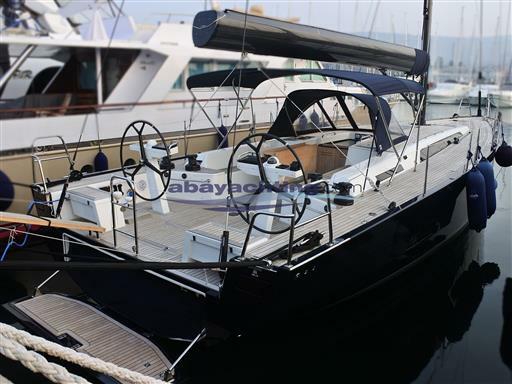 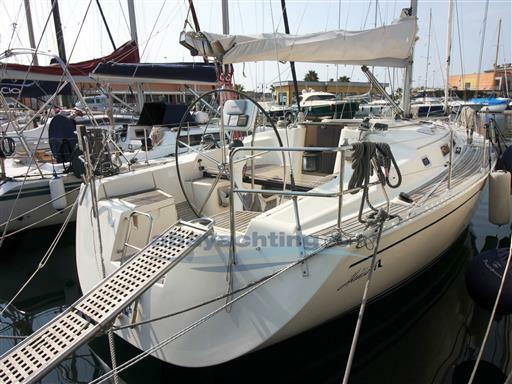 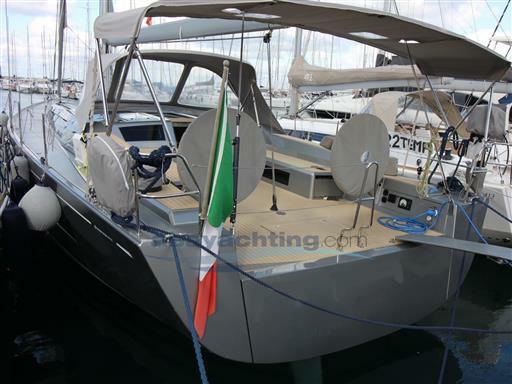 Arrivederci Hanse 445! 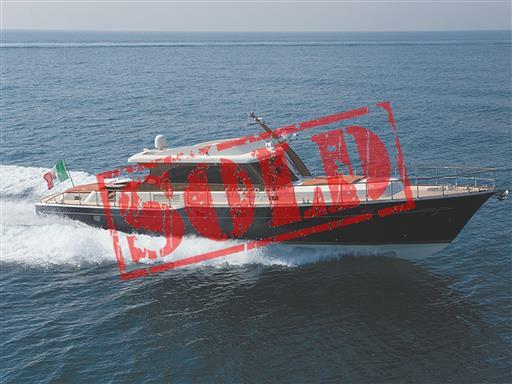 It is time to wish goodbye to the X-43, leaving the costs of Lazio and moves towards Liguria. 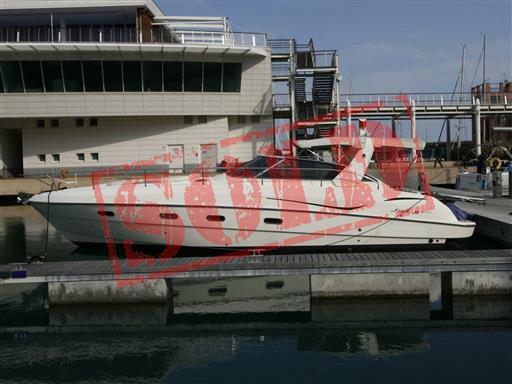 It will be the beginning of a new fantastic life at sea. 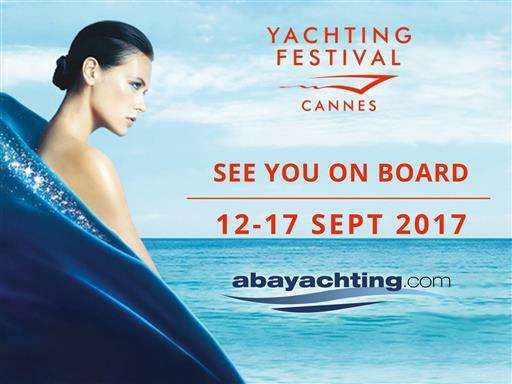 Au revoir! 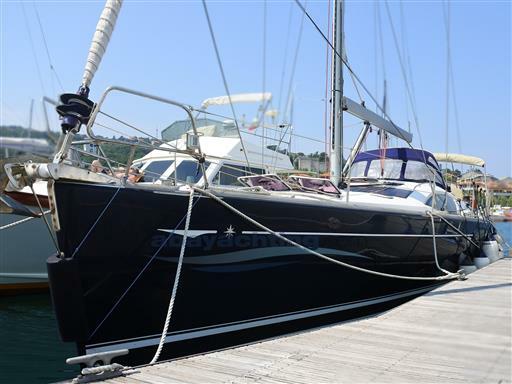 Goodbye to the Dufour 41 Classic and her new owner. 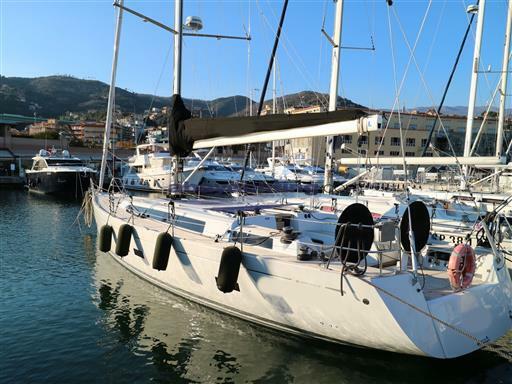 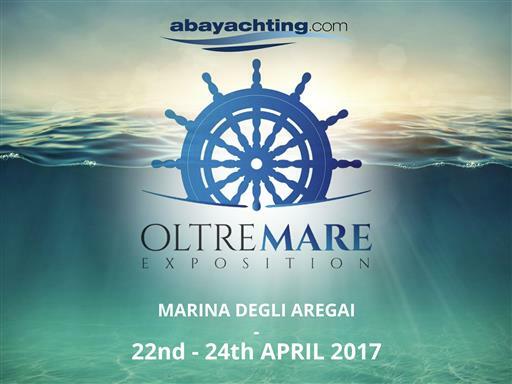 Have a good navigation and fair winds in the wonderful waters of Liguria! 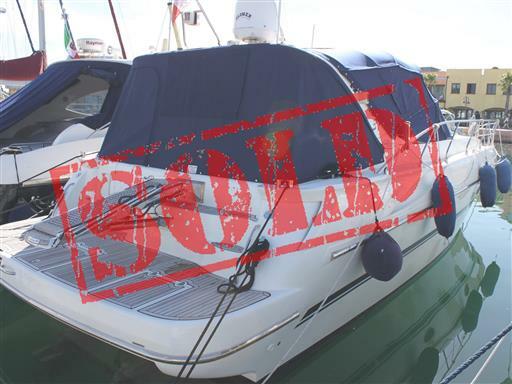 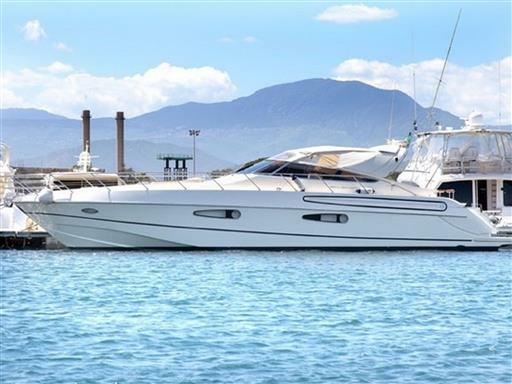 From Sardinia to the coast of Lazio, goodbye to the Mangusta 72 and her new owner! Have a good navigation full power ahead! 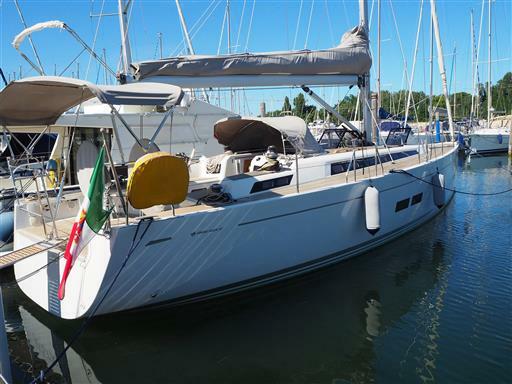 From a Sardinian owner to a new French one, passing through Tuscany! 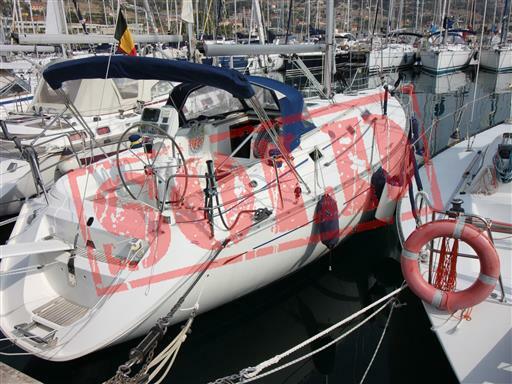 Goodbye to the Grand Soleil 43 J&J year 2006. 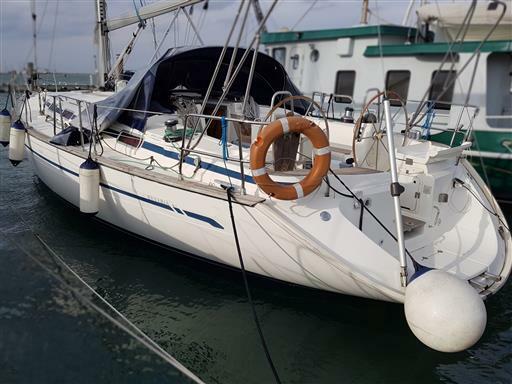 Have a good navigation and fair winds! 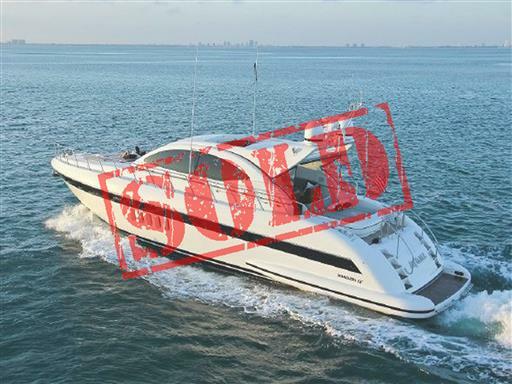 From two male owners to two new female ones! 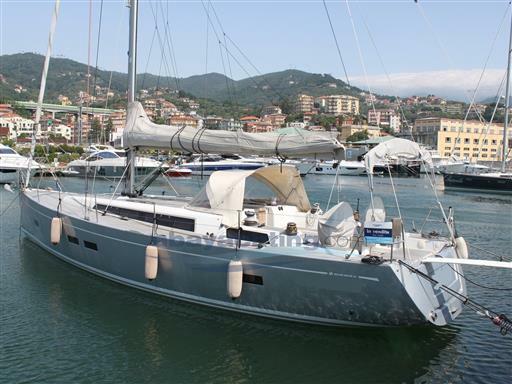 The Mira 40 remains in the same waters of Liguria, but starts a new life at sea. 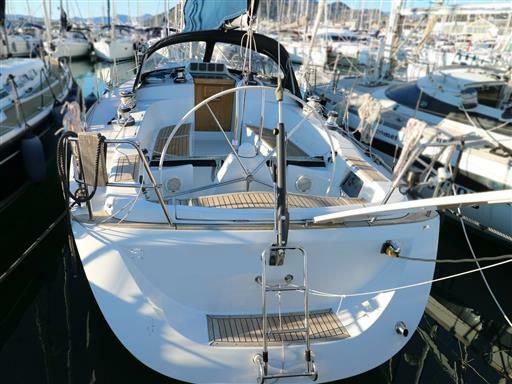 Good navigation! 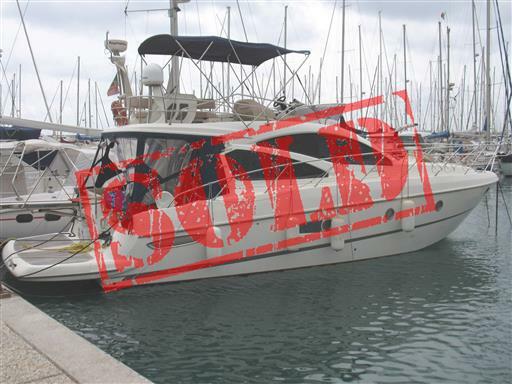 Another beautiful boat goes towards the new season with a new owner. 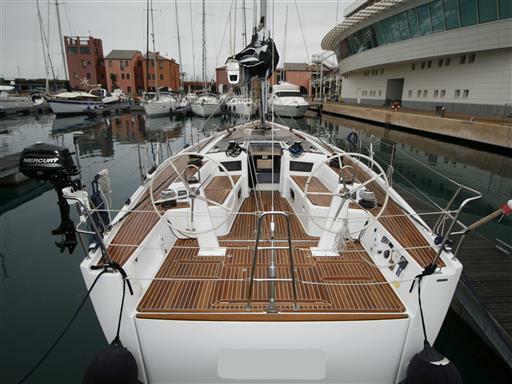 Good navigation to the Morgan 70 and full power ahead! 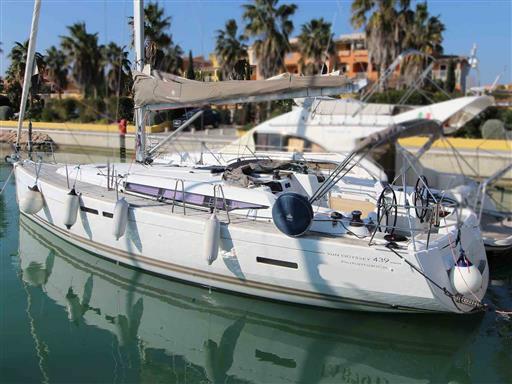 The Gobbi Atlantis 47 year 2005 leaves the wonderful waters of Apulia with a new owner from Malta. 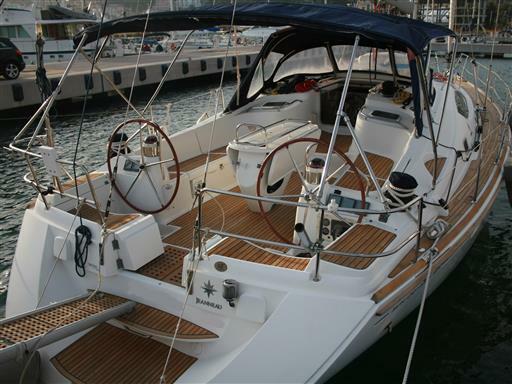 Have a good navigation! 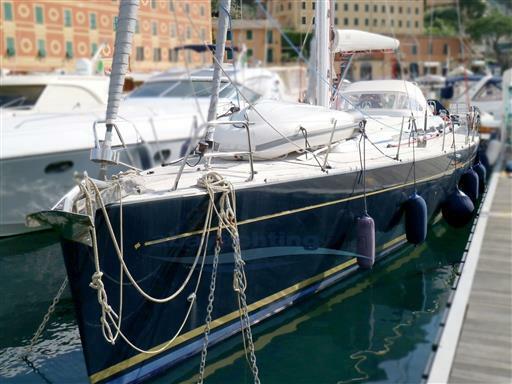 From two Swiss owners to an Italian one, but always remaining in the calm waters of Liguria. 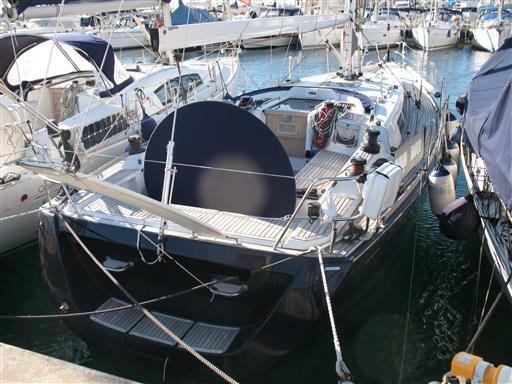 Good navigation to the Technema 48 and her new owner! 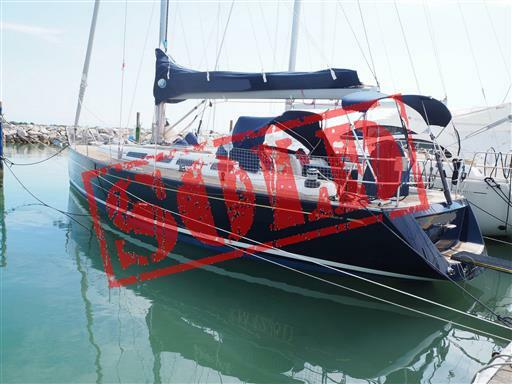 Goodbye to the Beneteau Oceanis 473 and her new owner. 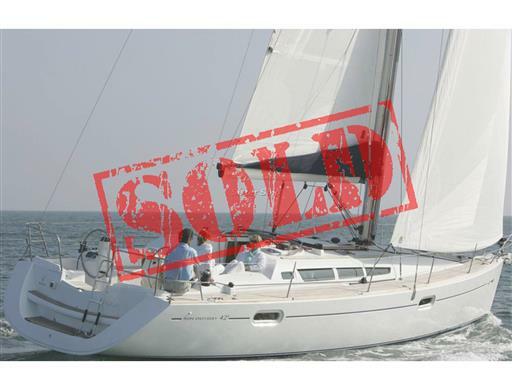 Fair winds! 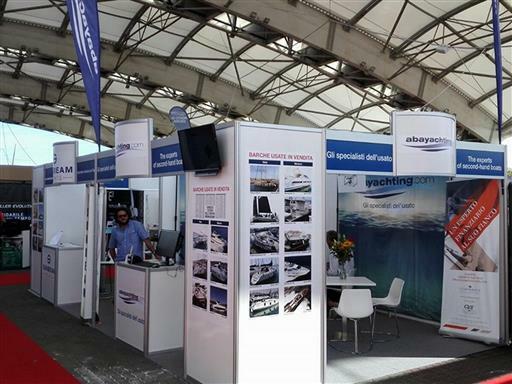 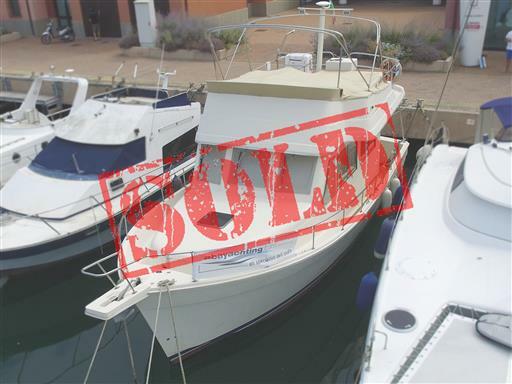 Two boats sold to the USA! 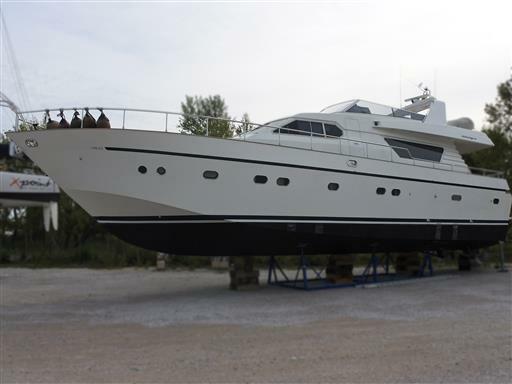 Another boat goes away… We wish a good navigation to the Canados 58 year 1991 and to her new owner. 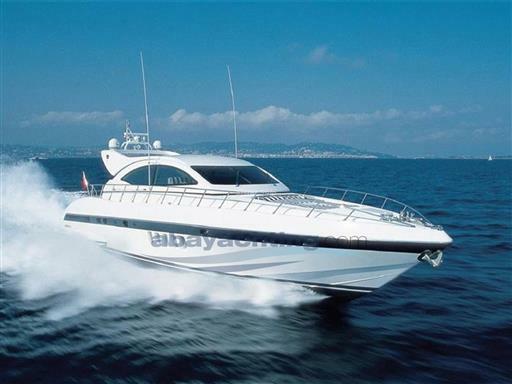 Full power, ahead! 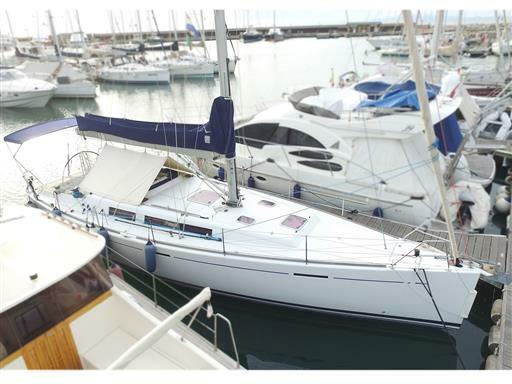 It is time to say goodbye to the Grand Soleil 343 year 1987 and her new owner. 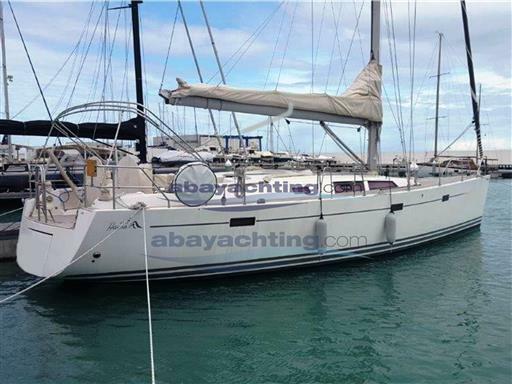 Have a good navigation and fair winds! 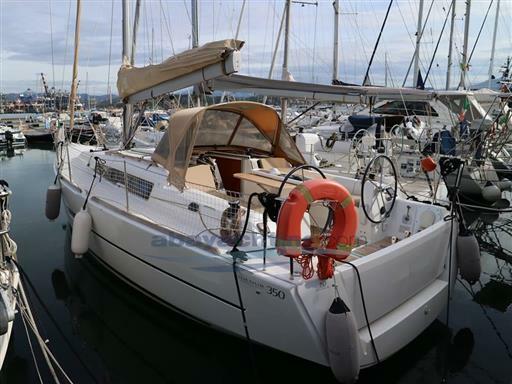 Also the Bavaria 380 has proceeded to sea, with a new and very young owner. 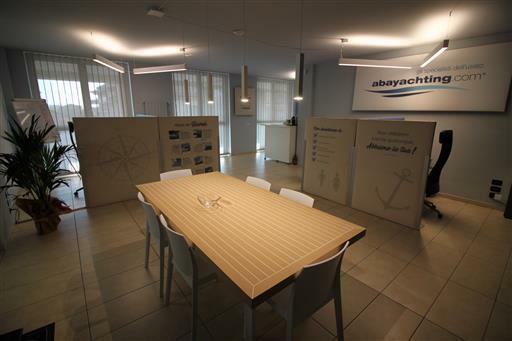 Have a good navigation! 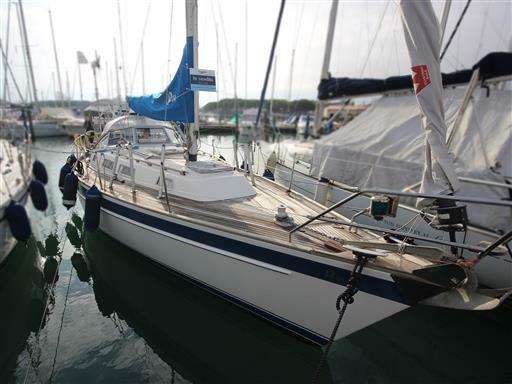 Goodbye to the Baltic 43, proceeding to sea in the same waters but with a new owner. 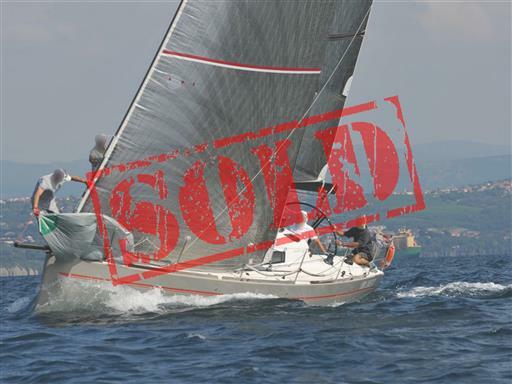 Fair winds! 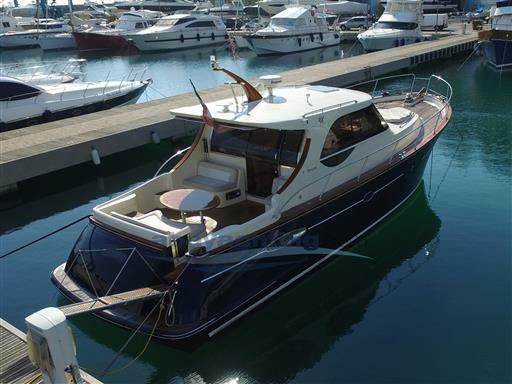 The Wauquiez Centurion 40S year 2004 is about to front a long journey. 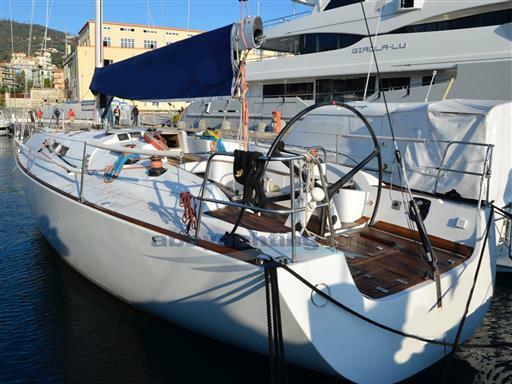 She has left Tuscany and sailed to Liguria, from where she will leave towards the USA: final destination Canada! 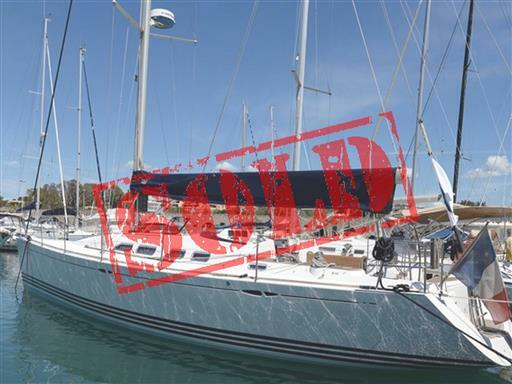 Fair winds! 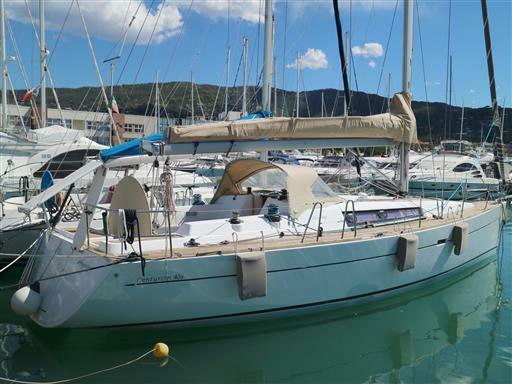 The Bavaria 34 Sport year 2011 left Liguria and reached Croatia, where she will start her new life at sea with a new German owner! 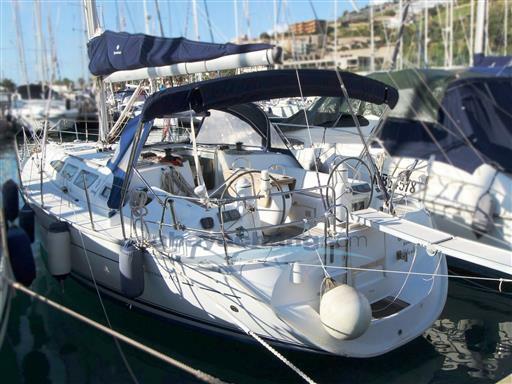 Have a good navigation! 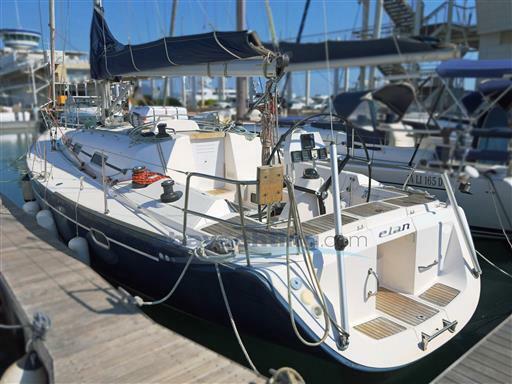 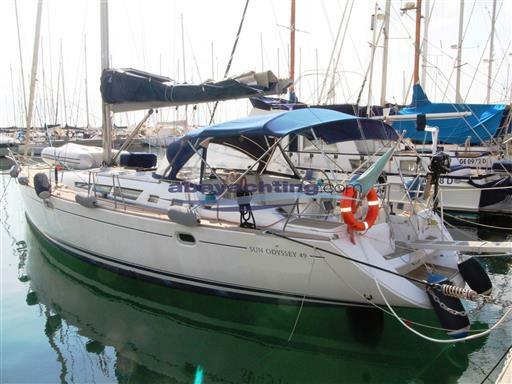 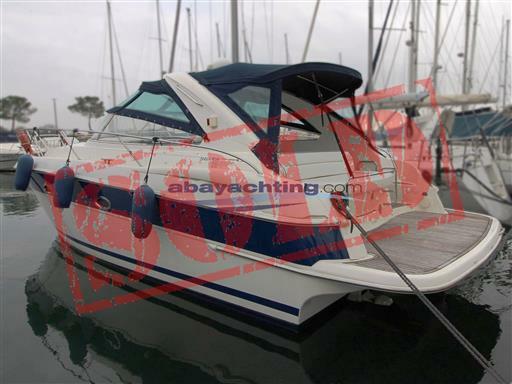 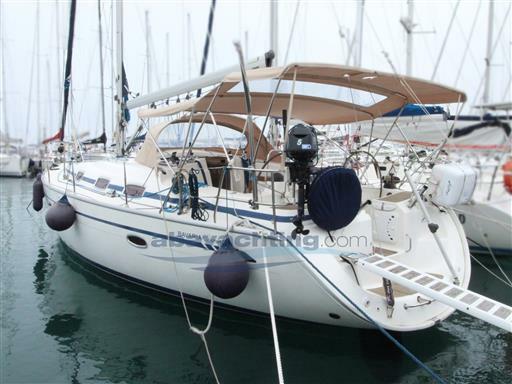 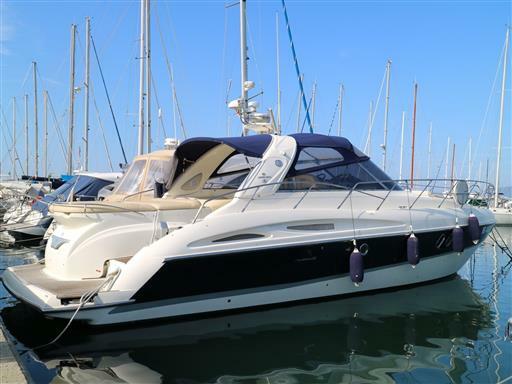 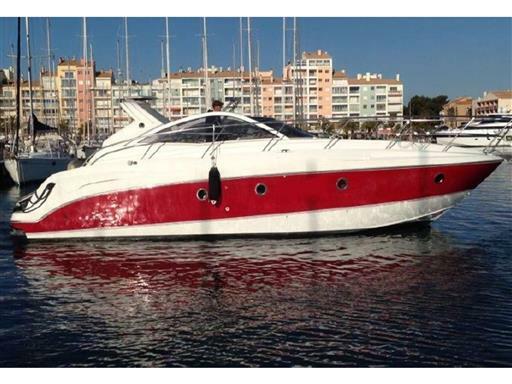 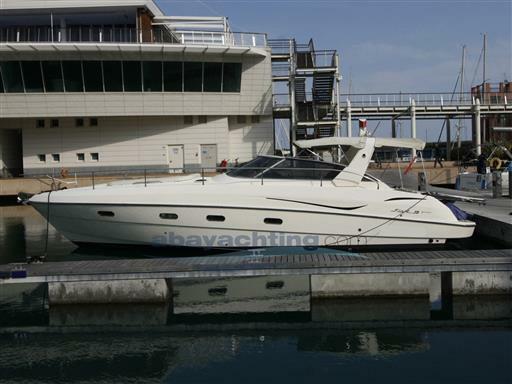 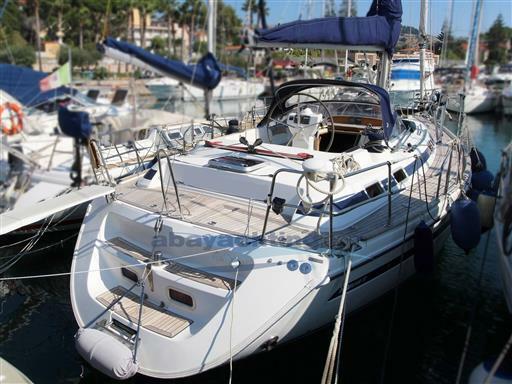 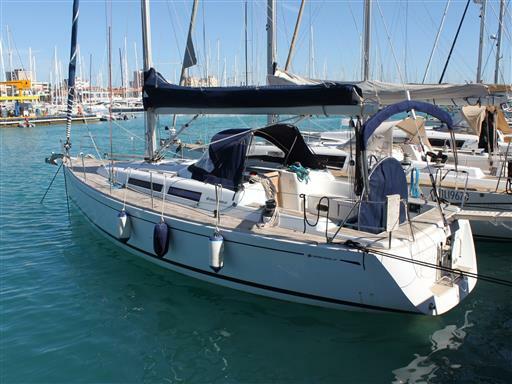 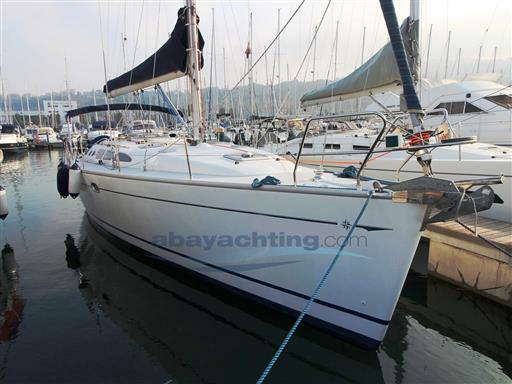 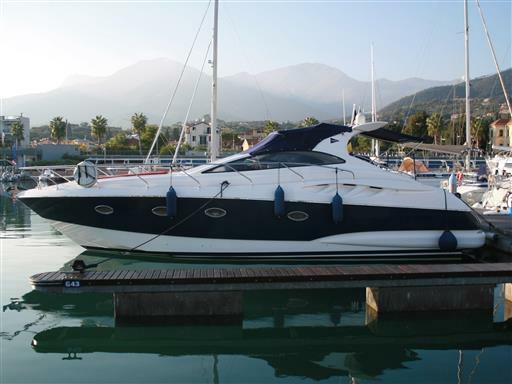 Also for the Elan 380 year 2008 the moment has come to start the summer season at sea, but with a new owner this year! 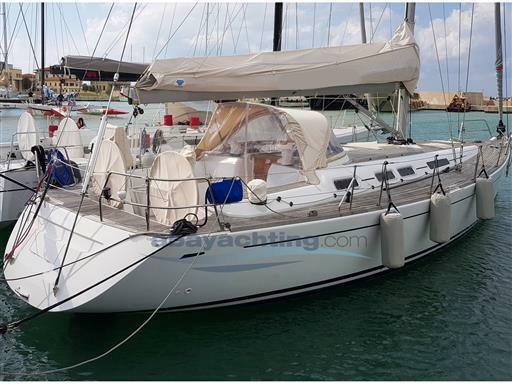 Have a good navigation and fair winds! 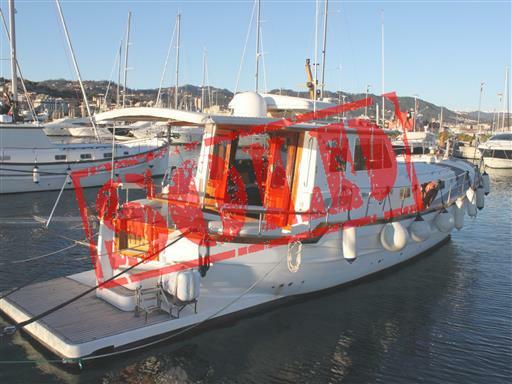 Goodbye to the Itama Forty year 2007 and to her new owner and we wish them a great new life at sea! 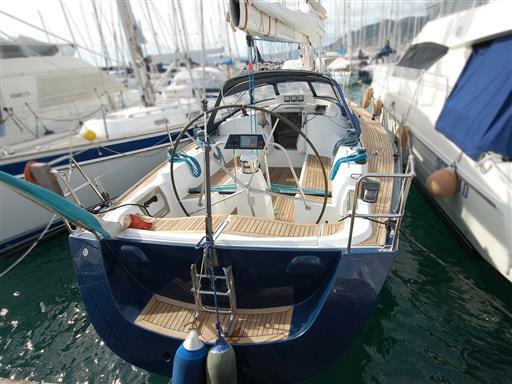 Good navigation! 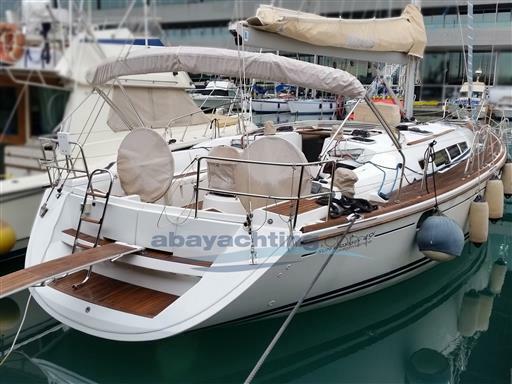 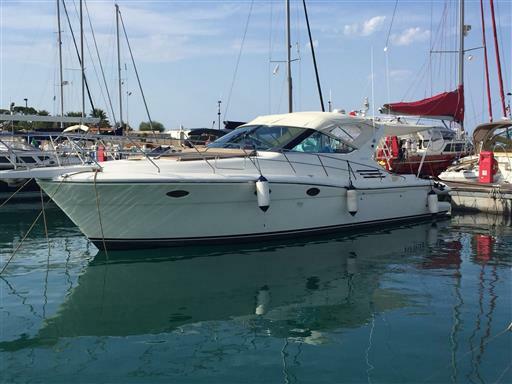 From Tuscany to Germany, the Comfortina 39 year 2010 is going to start a new season with a new name and a new couple of owners. 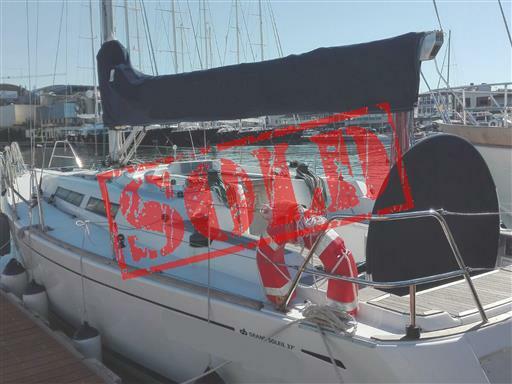 Auf Wiedersehen! 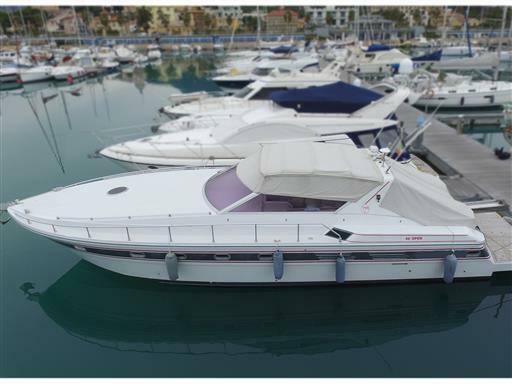 Another beautiful boat changes owner. 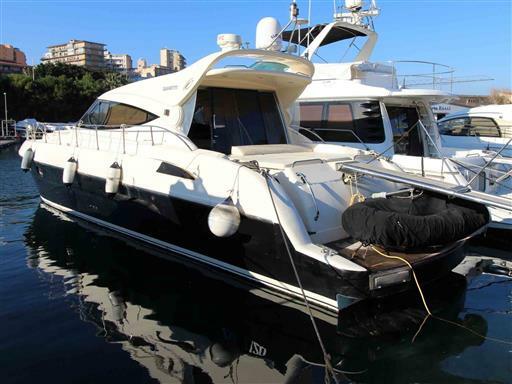 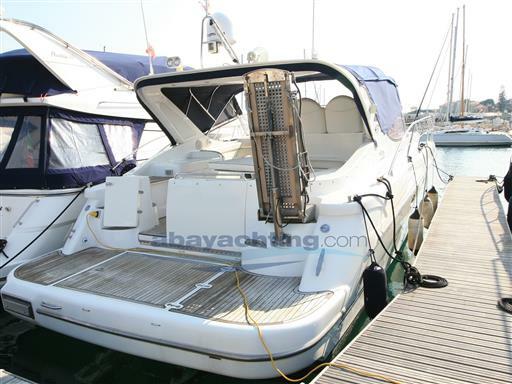 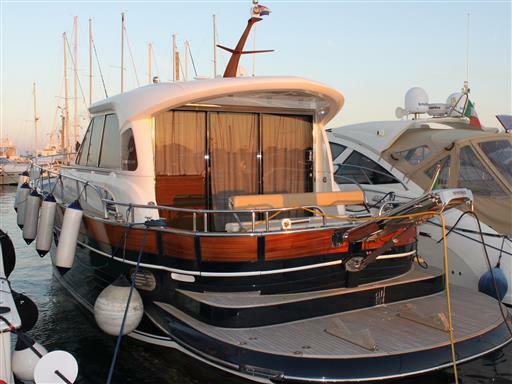 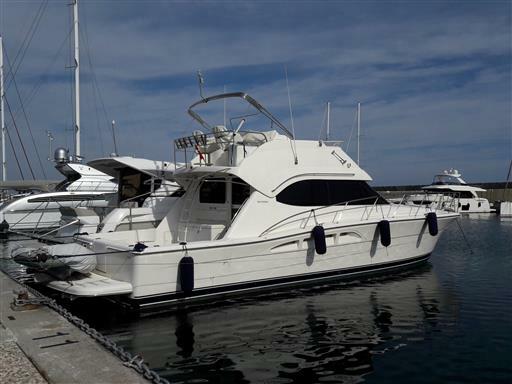 The Linssen 470 Grand Sturdy year 2006 is starting a new life at sea with a new French owner. 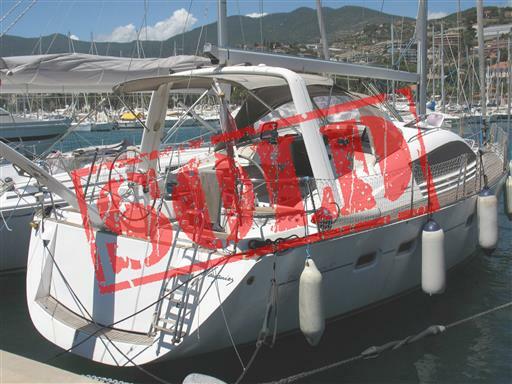 Au revoir! 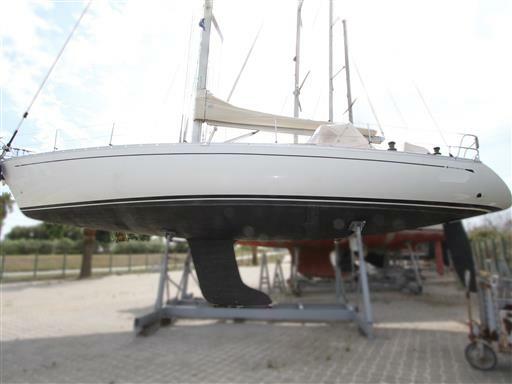 From Tuscany to The Netherlands! 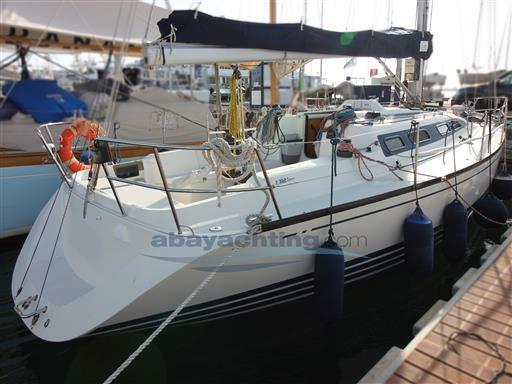 A nice trip for the Grand Soleil 40 B&C year 2008. 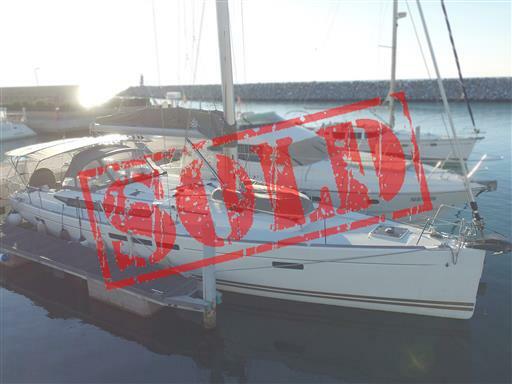 We wish a great new life at sea to the boat and her new owner! 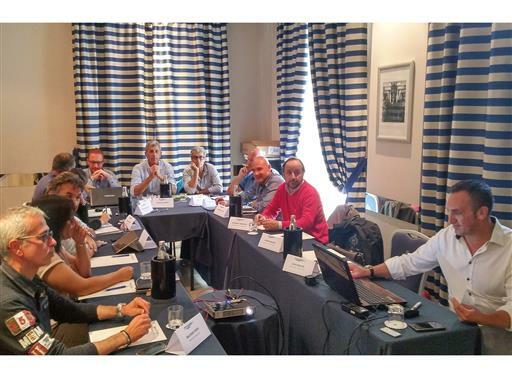 From Tuscany to Germany! 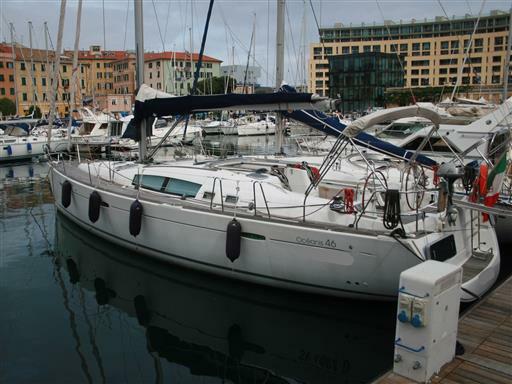 We wish goodbye to the Grand Soleil 46.3 year 2004 and to her new owner. 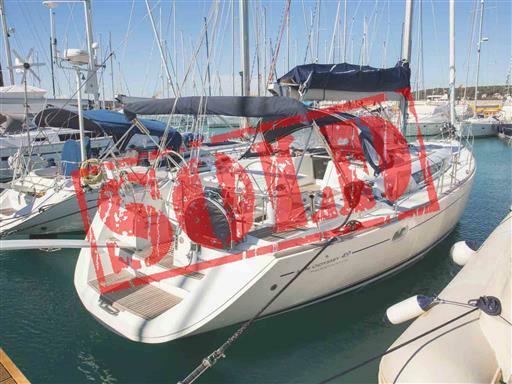 Fair winds! 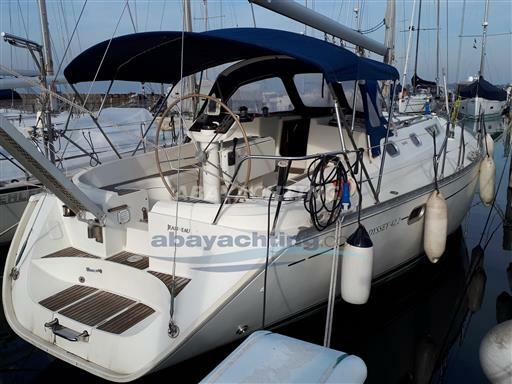 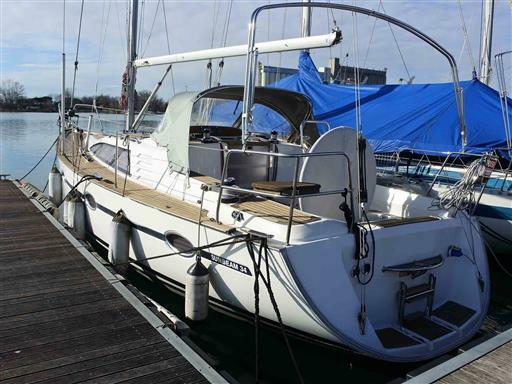 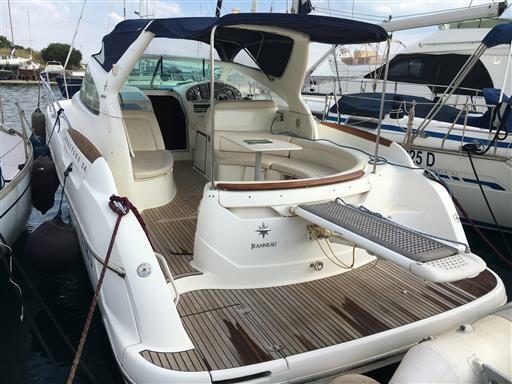 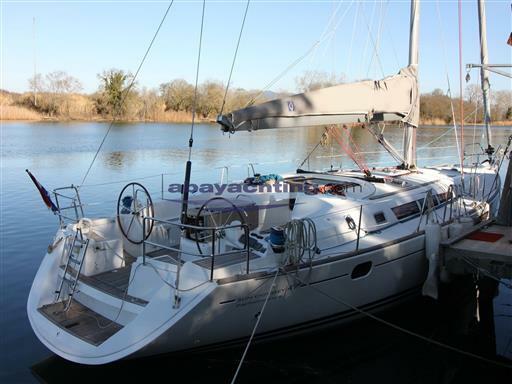 The Jeanneau Sun Odyssey 45.2 year 1999 is heading towards a new season at sea with a new Danish owner. 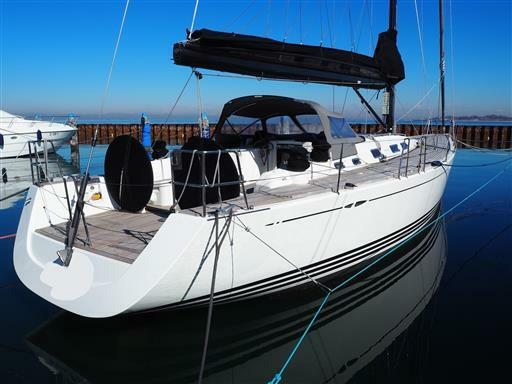 Have a good navigation and fair winds! 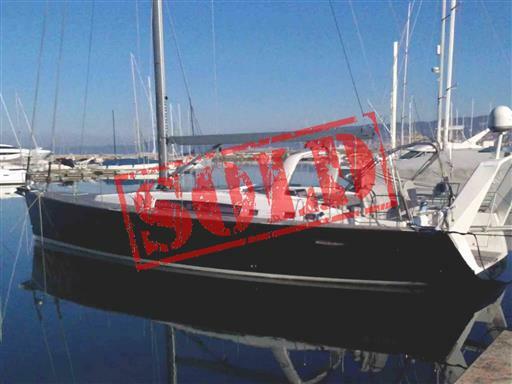 Goodbye to the Jeanneau Sun Odyssey 42i year 2007, proceeding to sea with a new owner. 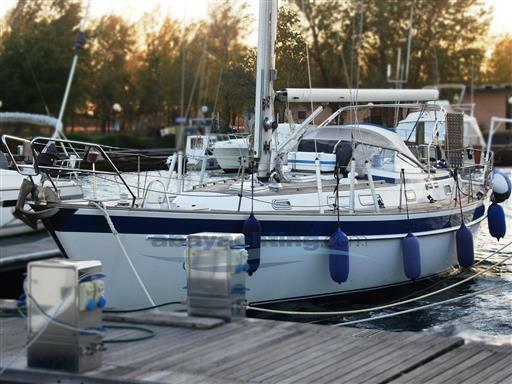 We wish them a fantastic new season at sea! 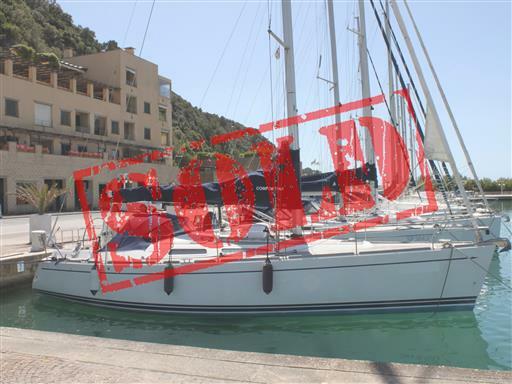 Bye bye again, for the third time… Thank you Biancla! 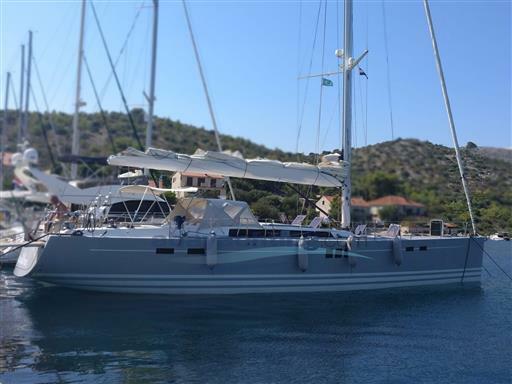 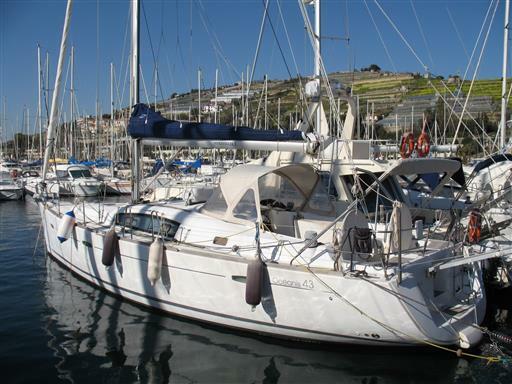 The Grand Soleil 37 B&C year 2005 is starting a new season at sea with two new owners. 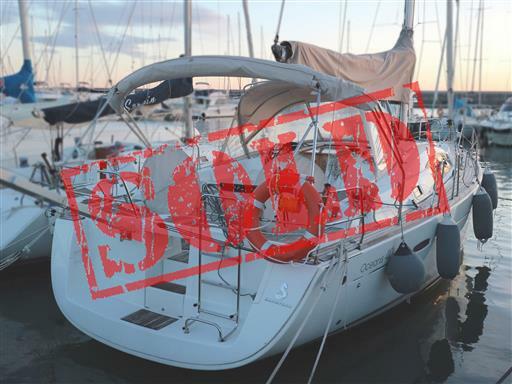 Fair winds! 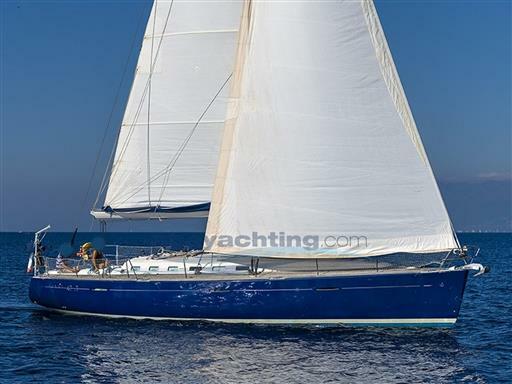 The Rodman 12.50 leaves Liguria heading towards the Adriatic Sea with a new owner, who will take her to Croatia. Have a good navigation! 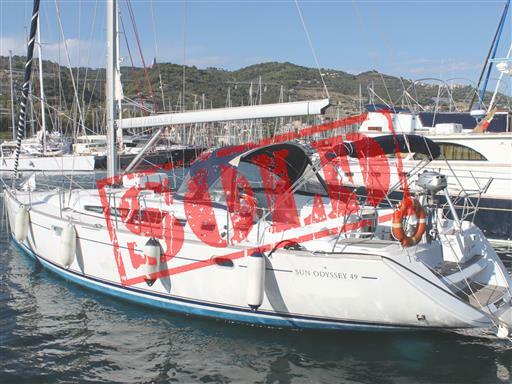 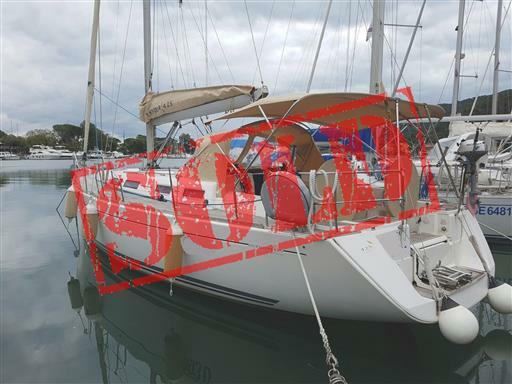 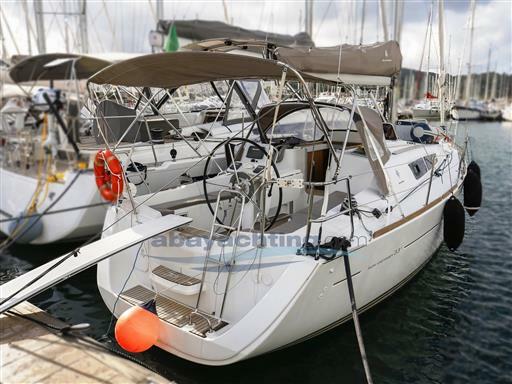 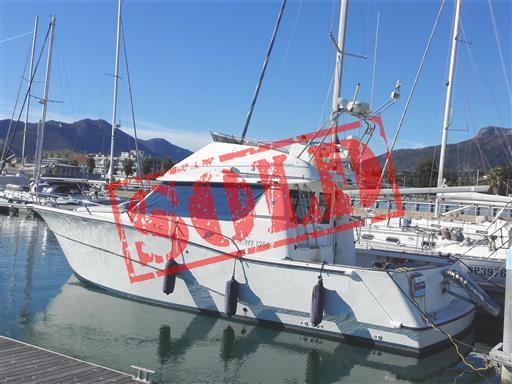 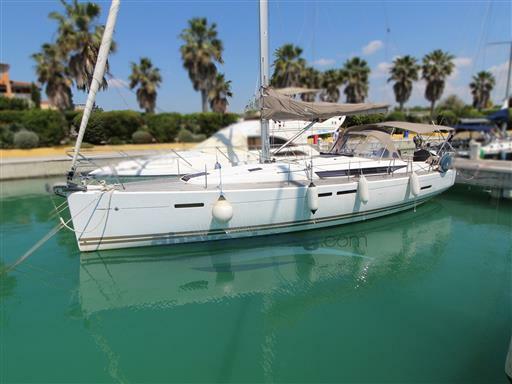 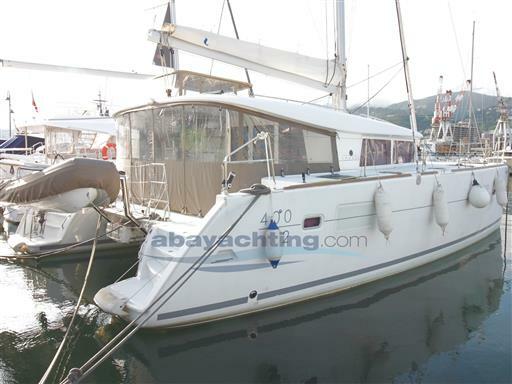 It is time to wish goodbye to the Jeanneau Sun Odyssey 49 year 2004 and to her new owner. 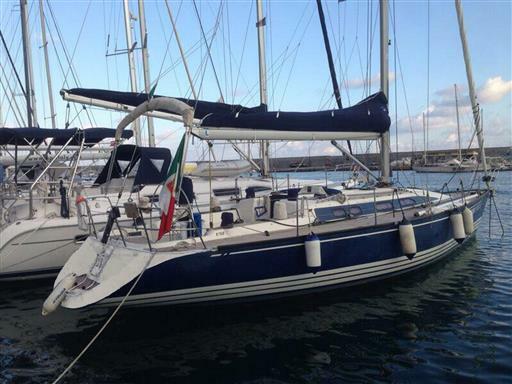 Good navigation and fair winds! 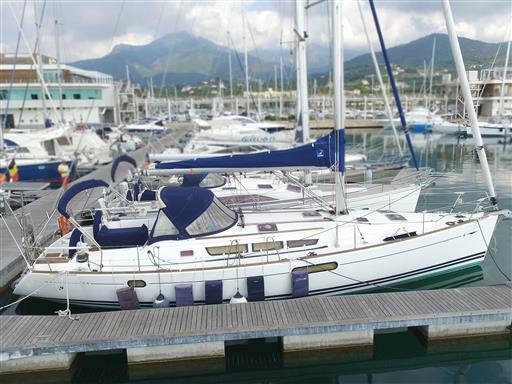 We wish goodbye to the Grand Soleil 43 J&J year 2006 and her new owner. 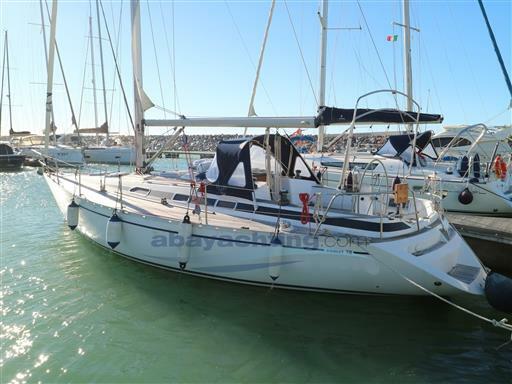 Have a good navigation and fair winds! 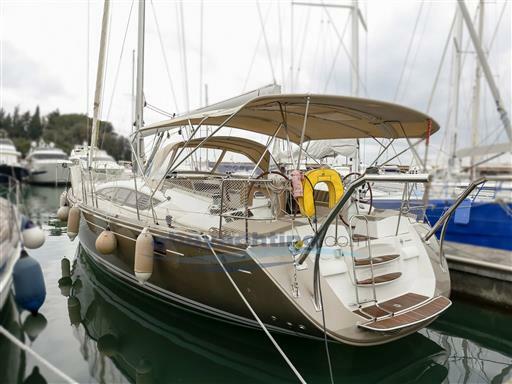 The Grand Soleil 37 year 2004 proceeds to sea with her new Swiss owners. 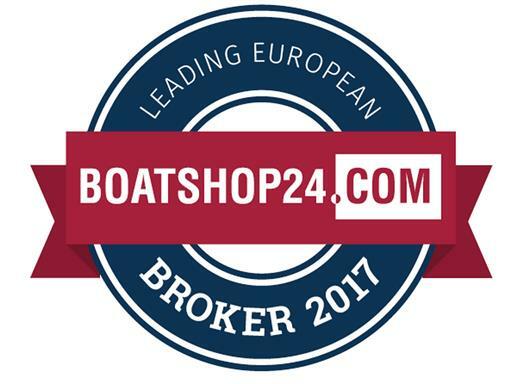 Aufwiedersehen! 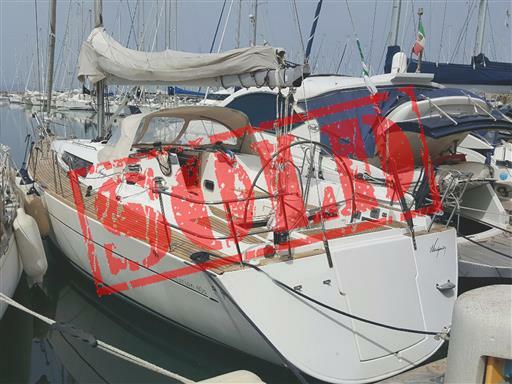 From Liguria to England! 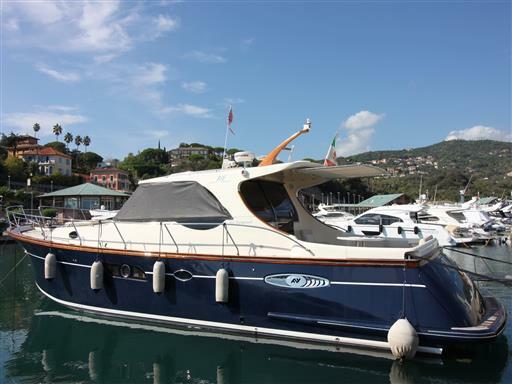 The Grand Soleil 50 year 2005 proceeds to sea with her new owner. Goodbye darling! 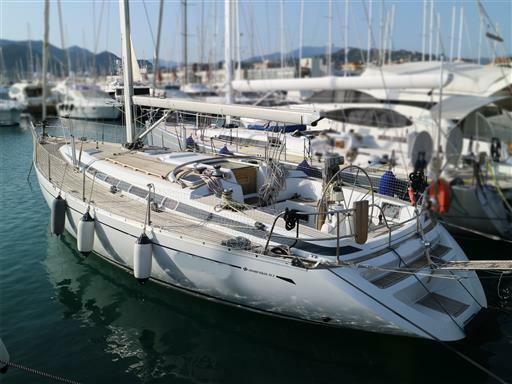 Also the Dufour 40 year 2005 has proceeded to sea! 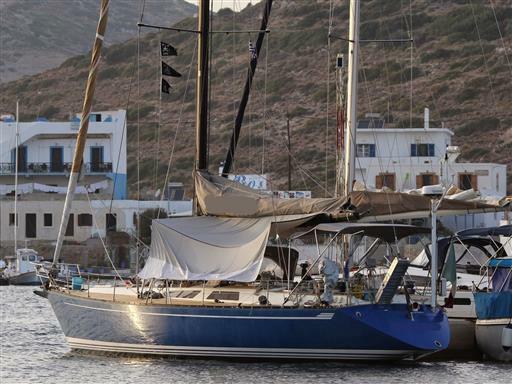 We wish her fair winds and good navigation!